We encounter a wide variety of flying insects in our houses and yards. Effective flying insect management demands their accurate identification followed by the implementation of proper preventive as well as corrective measures. In this article, you will find loads of useful information related to the most common flying insects including their appearance, prevention, and removal. Bees and Wasps: Many of you may not be aware of the fact that bees and wasps are responsible for sending over 500,000 people each year to the emergency room. However, at the same time, these flying insects play a crucial role for the environment by pollinating the fruits and vegetables consumed by us. Removal of bees and wasps can be a dangerous practice and should be performed only a professional. Mentioned below are the most common types of bees and wasps. Baldfaced Hornet: These wasps have a bluish-black color and white marks on their abdomen, upper body, and face. Their nests can be up to three feet long, and are mostly found attached to bushes, trees, and buildings. Baldfaced hornets are extremely protective about their nesting areas. Bumble Bees: They have a body length of about one inch, and their hair-covered bodies have black and yellow stripes. Their preferred nesting places include burrows on or near the ground. In order prevent nesting; remove all materials they may use for this purpose. Carpenter Bees: They are almost similar to bumble bees in appearance. However, yellow hairs are found only on the upper front portion of their body. Their abdomen can be purple metallic, green, or blue-black in color. Carpenter bees prefer being close to different wooden structures. These pests can be kept away by staining and painting wood. European Paper Wasps: Black and white in color with yellow stripes, these wasps are extremely common around homes. Their nests are commonly found hanging from overhangs of homes and tree branches. These wasps are about one inch long. Yellow Jackets: Very close to hornets in terms of appearance, yellow jackets have black and yellow stripes in their abdomen. They nest in underground burrows, holes inside the walls, or hollow logs. Honey Bees: These are social insects that build hives in different types of man-made structures and hollow trees. They are responsible for the pollination of some of the most important crops. Honey bees can be extremely aggressive if they are disturbed. Boxelder Bugs: As the name suggests, these insects are found on and near Boxelder trees. They thrive during the summer months and feed on seeds, flowers, and leaves. Boxelder bugs are quite harmless because they don’t sting or bite. However, secretion from their bodies can leave stains on drapes, furniture, and clothing. It has been observed that Boxelder bugs are attracted towards homes with lots of sunlight and western or southern exposure. As the first line of defence, make sure there are no Boxelder trees in your house. If there is a tree in your neighbour’s property, fix all the cracks, holes, and crevices in your house with a good quality caulk. Flies: Flies are found in a wide range of habitats and they there can be a significant variation in lifestyle and appearance amongst different fly species. In addition to being a nuisance, they are also the carriers of serious diseases such as typhoid, diarrhoea tuberculosis, dysentery, and many other food borne illnesses. The most common fly species include blow flies, cluster flies, drain flies, fruit flies, house flies, and phorid flies. Keep your doors and windows close, whenever possible. Use mesh screen on all your doors and windows. Ensure that all the garbage lids are closed and there is no trash inside the house. Ladybug: These insects are found in many different colors including yellow, shiny black, orange, red, or brown, with dark spots and markings. Though they are beneficial in general, ladybugs can become a bother because they tend to look for shelters in buildings. Sealing the cracks around the doors, windows, siding, and other openings is the best way to keep these insects out of home. If you already have ladybugs in the house, remove them by using a vacuum. Mosquitoes: Mosquitoes are one of the most harmful flying insects because they are the carriers of several critical illnesses. Areas with warm temperatures and high rainfall are preferred dwelling places for them. One of the best ways to reduce mosquito population around your house is to eliminate standing water in plastic covers, buckets, old tires, rain gutters, and other containers. Also, the water in the potted plant trays, rain barrels, wading pools, fountains, and birdbaths must be changed once every week. Stink Bugs: Stink bugs are found in different shades of brown, and have white stripes along the abdomen, antennae, and legs. These flying insects are seen in large numbers in warm, sunny, and reflective surfaces. They often infiltrate homes inadvertently in fall, while looking for warm places. In most instances, they enter homes through cracks near the door and window frames, chimneys, or air vents. Stink bugs can be kept away by sealing all the cracks and placing wire screens over all the openings. If you notice any flying insect at your home, contact us immediately. Please remember that the removal of these pests can sometimes be extremely dangerous. At Vectothor, we have a wealth of experience in managing all types of flying insects. Get in touch with our experts today to discuss your problem. Though termites do not fall under the category of flying insects, some of them can fly for a relatively short time period before losing their wings. Workers, soldiers, and alates are the three termite castes found inside a termite colony. Out of these three, only the alates can fly. These termites are sexually developed and their flying pattern is referred to as swarming. This is why the presence of flying termites at your home is the indication of a serious problem in the days to come. Luckily, however, there are quite a few flying termite control and prevention techniques you can implement. Swarming of termites takes place for the purpose of breeding and starting new termite colonies. This stage is the beginning of the life cycle of the termites. During the swarming season, sexually developed and winged males and females abandon their nests and take flight. A large number of winged termites congregate in their flight and mate with other members from the same or other colonies. After successful mating, these flying termites shed their wings and start their new colonies. How to Identify Flying Termites? Timely identification is extremely essential in order to implement proper preventive measures against termite infestation. Fortunately, flying termites differ significantly in their appearance from other flying insects. Depending on their species, flying termites are found in a wide range of colors. In general, like other castes, the flying termites mostly have a tan or beige colored body. They are equipped with two straight antennae with a slight curve and two sets of wings that have same length. The wings are translucent or white in color and have a veiny appearance. Termites can also be identified by their thick body that comprises of just one part. Also, they do not have a constriction between the abdomen and thorax. Often times, the identification of flying termites can be confusing because of their similarity with flying ants. In some instances, you may dismiss flying termites and white ants. However, please remember that there is no such thing as white ant. Mentioned below are few quick tips to distinguish between flying termites and flying ants. Waist Shape: The waists of the ants have a pinched appearance between the abdomen and thorax. On the other hand, the body of the termites appear straight throughout. Antennae: The antennae of the flying ants tend to be bent in the middle. However, the flying termites have antennae that look like springs that can extend straight. Wing Length: Flying ants have wings with unequal length that layer upon one another. The wings of the flying termites are distinctly identifiable because they are symmetrical in nature. Even if you are not able to see flying termites in and around your home, your house may have already fallen prey to them. Take immediate measures if you notice any of the following indications. Though this task is best left to the professionals, there are certain simple tactics every homeowner can implement to prevent their home from flying termites. Firstly, please ensure that termites do not have any access to food, which, for them is mostly wood. Remove paper, lumber, and firewood piles away from infested areas. If you need to store wood outside the home during the winter, raise it above the ground so that there is no soil contact. Moisture control is another effective alternative to keep flying termites away. Here are a few simple tips that may help. As far as treatment is concerned, there are many different alternatives depending on the types of termite. It is always better to engage professional exterminators because they can properly identify the problem and recommend different treatment options. At Vectothor, we have been helping home and office owners keep their properties free from all types of flying insects for many years. Contact us today to create a comprehensive flying insect mitigation plan for your property. The term wasp represents all insects of the order Hymenoptera and suborder Apocrita, excluding all types of bees and ants. Hornets and yellow jackets are the most common types of wasps. As the Australian summer starts to get hotter and the fall approaches us, the menace of wasps takes a serious proportion. These pests not only threaten your home or office, but may also cause serious harm to the health of the occupants. Wasp stings are known to cause reactions ranging from mild swelling and redness to emergency situations. Luckily, these are several ways to keep wasps away. Before discussing preventive measures, it is important to understand certain behavioural traits of wasps. Please remember that their most preferred nesting areas are the crevices and other structures around your building. Holes or breaks on the exterior framing or siding are excellent homes for these pests. Therefore, it makes sense to have your building exterior checked by a professional from time to time. Yellow jacket infestation can be dangerous because they are aggressive and tend to burrow in the yard or the building structure. This is why their nests are not always visible. On the other hand, the nests built by the hornets are generally visible on trees and structures. Hornets can be identified by their black and white colour, and are extremely aggressive. Some other kinds of wasps and hornets are also found in mud. At the very beginning, please note that chemical treatment for wasp management is not usually recommended unless you can directly treat the colony. Prevention: This is always the first and the most important step in keeping wasps away. Wasps generally prefer nesting in different opportune areas of a home. They are attracted by all types of food and sweet materials such as nectar, lotions, perfumes, etc. Therefore, you can keep them out by covering the trash cans and removing all unwanted food waste. Proper maintenance of the building structure is also important because wasps love building their nests on the crevices, broken panels, or sidings. Make sure all your windows and doors are perfectly functional so that the wasps can’t fly in. Fill up the rodent holes in your yard with dirt or soil because these are potential burrows for the wasps. Wasp Repellent Plants: Take a closer look at your landscaping pattern and remove flowers from the areas where you like spending time. Replace the flowers with wasp deterring plants such as wormwood, eucalyptus, thyme citronella, and spearmint. Peppermint Oil: It is reported that wasps can’t tolerate any type of mint. Therefore, in addition to planting all types of mint, place cotton pads soaked in peppermint oil at strategic locations around the building. Target the spots where old nests were discovered in the past. Essential Oil Blend: Recent studies have revealed that a blend of clove, lemongrass, and geranium essential oils is an effective wasp repellent. Therefore, you may apply a mix of these essential oils along with a small quantity of dish soap in the preferred nesting areas. Sugar and Water Traps: These traps contain a tempting treat resembling sugar water to attract the wasps inside. However, after getting inside the trap, the wasps can’t find their way out. These traps can be made easily at home by cutting a two litre plastic bottle’s top and placing it inside the bottom in an inverted manner. This can be a dangerous practice and it is recommended to hire a professional for the removal of wasp nests. If you are looking to do this on your own, you must visit your doctor and make sure that you are not allergic to wasp stings. Wear proper protective clothing throughout the process and keep an escape route in your mind, in case the wasps start swarming. At Vectothor, we are a team of specialists offering state-of-the-art techniques to manage all types of flying insects. Please contact us today to find out more about building a wasp free home or office. The summer season is here, and I am sure many of you are looking for ways to ensure a mosquito bite free season. We all know how irritating mosquitoes can be. However, many of us are unaware of the health risk that mosquitoes pose in some parts of Australia. Every year, approximately five thousand Australians suffer from Ross River virus infection. In fact, the largest ever mosquito-borne Ross River virus outbreak was reported in 2015. Hiding indoors is certainly not the best possible alternative to stay safe from mosquitoes. Though many different types of pesticides are available, most of these products may have a harmful impact on your family’s health. Therefore, in order to stop mosquito bites, it is always better to take adequate preventive measures and making use of some time-tested natural remedies. Eliminate Standing Water: This is undoubtedly the most important measure to keep mosquitoes away from your backyard. Standing water provides the perfect environment for the mosquito larvae to grow. Check your garden area to make sure there is no water in the pots. Keep all your water holding containers covered, and drain them out regularly. This may include slumped tarpaulins, discarded tyres, buckets, children’s toys, and much more. Even your pet’s water bowl can be a home for the mosquitoes. Therefore, before refilling, empty the same at least once every week. Neglected swimming pools are excellent breeding grounds for mosquitoes. It is advisable to keep your pool chlorinated, and clean it twice a month. Don’t forget to check your pool filter for clogging. Sometimes, the source of your mosquito problem may be above the building. A blocked roof gutter with trapped water is a preferred habitat for mosquitoes. Therefore, it is important to clean out sand, soil, and other debris that may accumulate from time to time. It is a great idea to plant marigold in your backyard because this flowering plant is known to have excellent mosquito repellent properties. The marigold flowers are pleasing to the eyes, and their fragrance keeps mosquitoes away. You may also consider planting catnip, basil, and lavender because all these plants come with a natural smell that are unpleasant to mosquitoes, but pleasant to us. Instead of using chemical based harsh insecticides, it is always safer to rely on some natural homemade alternatives. It is possible to prepare an effective mosquito repellent at home by mixing vanilla extract with witch hazel and one tablespoon of water. This mixture can be applied on all the exposed areas of the body to keep mosquitoes away. It can also be applied on the areas of mosquito bites for quick relief. Another good homemade mosquito repellent is the mixture of apple cider vinegar and small pieces of chopped apples. Fill up a bottle with this mixture and keep it near your garden area. Chilli powder contains capsaicin, the substance that makes our mouth burn. The strong odor of capsaicin makes chilli powder an excellent mosquito repellent. It is quite simple to make this spray at home by mixing chilli peppers and water and boiling the mixture for about five to ten minutes. You may also mix small amount of a mild liquid soap. Spray this mixture in your backyard and garden area for a mosquito-free summer. This spray, however, must be used with extreme caution because it may cause harm to human skin. A naturally occurring, soft, siliceous sedimentary rock, diatomaceous earth has significant insecticide properties. It absorbs the lipid content from the exoskeleton of the insects, leading to their death. Available in any gardening store, it can be applied all over the garden. There are thousands of mosquito control products available in the market. However, while choosing a product, make sure the same is registered with the Australian Pesticides and Veterinary Medicines Authority (APVMA) and follow the instructions meticulously. As far as the topical mosquito repellents are concerned, products containing picaridin and DEET (diethyltoluamide) provide the most long lasting protection. However, as mentioned at the very beginning, it is always better to use plant-based product such as tea tree oil. We do not recommend Vectothor for mosquitoes. These are not the best available alternative to stay safe from mosquito bites because they are capable of catching only a limited number of mosquitoes while decimating many beneficial insect populations. At Vectothor, we have a team of flying insect management experts dedicated to helping you enjoy a healthy, insect-free life. We have a comprehensive range of products tailored to meet your exact requirements. Please contact us today to find answers to all your mosquito related problems. Flying insects are a universal cause of contamination throughout the food processing, manufacturing, and distribution businesses all over the world. As the summer months approach, this problem often becomes a huge issue. Controlling and trapping them is not the easiest of tasks because of their number and size. If left unchecked, these flying insects may start spreading illness and diseases by moving freely between garbage and food products. From moths and mosquitoes to beetles, wasps, ladybugs, and different types of flies, there are over three hundred different flying objects that are continuous threats for food facilities that require consistent sanitation in order to comply with regulatory standards. Though flies are treated with maximum importance in this regards, night-flying moths and mosquitoes are more common intruders compared to them. Trash cans with decaying debris, drains, crevices, and cracks can very easily attract phorid flies, bottle flies, fruit flies, and common house flies. Standing water is not only responsible for mosquito infestation, but it also invites fall invaders such as Asian ladybeetles and stinkbugs. Though all flying insects have different breeding and feeding habits, it is possible to control all of them by properly deployed preventative measures. Before discussing how to protect your food business from flying insects, however, it is important to explain a few other relevant points. What Attracts the Flying Insects? Heat and odor, along with decaying food, debris, scum, and trash are the foremost flying insect attractants. Also, facilities with aging infrastructures such as old reservoirs, faulty sewer lines can very easily become breeding grounds for flying insects. Areas with organic materials such as food wastes can be extremely attractive for filth flies and blow files. In fact, decaying organic material is a favorite breeding site for filth flies and they tend to follow both moisture and odor trails in search of these sites. In addition to food particles, different flying insects are also attracted to light for both warmth and heat. They are also attracted sometimes by the pheromones from other insects of the same species. Flying insects tend to feed indiscriminately on excrement, waste, and food products. This invariably results in spreading of bacteria between different sources of food. Flying insects carry numerous unsanitary organisms that have extremely harmful impact on human health. Any deposition of these organisms on the produced food materials results in risk of disease transmission and increased spoilage. Flying insects sometimes embed themselves within the food particles, leading to further spoilage of food. All countries around the world have strict regulations prohibiting the presence of any flying insects within the premises of a food business. Therefore, adequate measures must be implemented by the business to control and eliminate all flying insects. While implementing any pest control strategy, it is always better to consider preventative measures at the beginning. If these measures are strong enough, the requirement for major elimination procedures may reduce significantly. Mentioned below are some of the most important prevention strategies to protect your food business from flying insects. Door & Window Screening: Doors, windows, and ventilation points are key ingress areas for flying insects. It is a great idea to install insect screens on all entry points and maintain them properly. Door Opening & Closure: Efforts must be made to reduce the door open time to absolute minimum because open doors are no less than invitations for all flying objects. If possible, you may consider installing automated door systems that are capable of opening and closing with very high speed. Air Curtains: In all food related businesses, there are doors that remain open all the time, but need a protective barrier against flying objects. Air curtains are excellent solutions for these doors because they expel most flying insects by creating an airstream moving in a very high speed. Be careful to ensure that the airflow is directed outwards. Strip Doors: In case of entry or exit points where air curtains are impractical because of size or cost, strip doors can be a viable solution. This not only deters almost all flying insects, but also offers a visual barrier. Door & Window Seals: Every faulty seal or gaps in the door, window, or ventilation system create an opportunity for flying insects to enter your facility. Make sure that all these points are securely sealed and are well maintained. Efficiency, Temperature, and Positive Pressure of Air Conditioning: Try to maintain a consistently cool and low odour environment within the facility because these conditions are not suitable for flying insects. All flowering plants must be located at least ten meters away from all entry or exit points. All the filters and exhaust outlets must be cleaned regularly to eliminate odor. All the trash must be stored in sealed bags and skip bins, and disposed on time before any overflow takes place. Regarding external lighting, it is better to avoid bright lights because flying insects are readily attracted to them. Make use of fly baits, sticky tapes, insect light traps (ILTs), and other popular elimination alternatives. If you still have questions related to protecting your business premise from flying objects, please contact the experts at Vectothor. We take pride in being the creator of the most effective flying insect management system on the market. With yet another sweltering summer just around the corner, it is high time for all Australian households and businesses to find a way to ensure a pest-free season. This time of the year can be particularly challenging for the eateries, hospitals, and other commercial establishments that require a pest-free environment for optimal operations. Out of all pest control measures available, flying insect light trap is considered to be a safe and effective alternative. Available in many different sizes and forms, these traps are capable of removing a high percentage of flying insects before they can cause any serious hazard. Most of the conventional insect killers utilise high voltage grids to kill the insects. On the other hand, insect light traps are designed based on the fact that most of the insects can see ultraviolet (UV) radiations. This is why nocturnal insects are readily attracted towards light sources. UV light technology is applied by the light insect traps to entice the insects and trap them in a concealed glue board. Housing: In general, this is a cage-like structure with a light within. Light: As ultraviolet (UV) radiations are emitted, almost all types of flying insects are attracted. Attractant: Certain types of pheromones and smells are often used in the glue boards to attract the pests closer. Trap: In some cases, the insects are caught in a pan placed at the bottom of the trap. The ones with glue boards make use of adhesives to catch the insects. Strategic placement of light traps around the building is critical to its performance. Mentioned below are some simple guidelines that you may follow while placing your flying insect light trap. Installation near the entrance of a room maximises the probability of catching the insects before they can enter the room. Target the areas with a high population of insects. Target the warmer areas because flying insects generally thrive in these pockets of your home. Please keep the following factors in mind while installing your insect light trap. Avoid high-traffic areas because there is a higher chance of the trap getting damaged. Do not install traps in areas closer to your kitchen or dining space. At Vectothor, we have a comprehensive range of light traps that are discreet in terms of both design and appearance. We have been the most preferred choice in Australia for hospitals, hospitality industry, food management programs, or anyone with a high-performance flying insect management program. The temperature trap is ideal for almost all flying insects. HACCP food industry compliant glue boards that are temperature optimised. Insect counting software for easy HACCP reporting. Please contact our experts today to enjoy a pest-free summer with your family and friends. Perhaps the most common advice you’ll hear about improving indoor air quality is improving the ventilation in the room, home or building. This is to allow more outdoor air to come in and let the indoor air (which may contain VOCs, carbon monoxide and other pollutants) to come out. But what if the outdoor air also contains significant amounts of pollutants and irritants? This is especially the case in urban and people-dense areas. As a result of our everyday home living and modern commercial activities, urban air quality is not improving. This makes ventilation improvements insufficient or questionable because outdoor air quality is compromised in the first place. Emissions from vehicles, manufacturers and power generation facilities contribute greatly to declining air quality especially in modern societies. To support our modern lifestyles, more stuff should be produced and more energy should be used. Whether it’s for transport, maintaining a comfortable temperature or just cooking, our present activities (residential or commercial) contribute to declining urban air quality. But when does outdoor air quality considered low or unacceptable? There are many definitions and the limits are somehow inconsistent among different countries. After all, we also have to consider not just the amounts of pollutants present, but also the climate, geography and demographics. In addition, the number of hours of exposure is also considered. High concentrations of a particular pollutant should only be allowable in short periods. For instance, the US EPA and National Air Quality Standards (Australia) for carbon monoxide is 9.0 ppm (parts per million) measured over an 8-hour period. But for 35 ppm, the averaging time should only be 1 hour. Moreover, the standard should not be exceeded more than once per year. The standards are continuously changing and evolving. It’s possible that next year, a new air pollutant will be added to the list and the limits are all revised. This can all happen after researchers gather more data and toxicity levels to humans are updated. These standards and limits are often set for public health protection. This includes protecting the health of people with vulnerabilities such as young children, asthmatics and the elderly. For example, the inhalation of lead by young children results to permanent adverse health effects to the kids’ brains and nervous systems. Although the standards set are not yet perfect or optimal, it’s a good start to control the release of dangerous pollutants into the air. As more data are gathered, the standards are still set to be revised. Right now what’s important is to take early steps in controlling harmful emissions. Air pollution causes about 7 million deaths a year. This number can rise indefinitely if harmful emissions are left unchecked. Why does air pollution cause too many fatalities? Pollutants such as nitrogen dioxide and sulphur dioxide may cause respiratory and cardiovascular problems. In fact, air pollution might even affect the incidence and progression of Alzheimer’s and Parkinson’s diseases. The effects of air pollutants get even worse because of our body’s ability to actually absorb these contaminants. For example, carbon monoxide has 250 times greater affinity to haemoglobin than oxygen. It’s like displacing the oxygen needed by our cells and then the carbon monoxide poisons our bodies. The result is weakness, nausea and loss of consciousness. Another example is in the effect of sulphur dioxide (SO2). Exposure to high concentrations of sulphur dioxide results to respiratory irritation and dysfunction. Acute airway obstruction may happen because sulphur dioxide may dissolve into sulphite and bisulphite, which can be both easily distributed and absorbed by the body. Nitrogen dioxide also presents serious toxicological problems. Eyes, nose and throat irritation are the common results of nitrogen dioxide exposure at high enough levels. At extreme levels, chest pain and pulmonary oedema may even result. It’s just a few examples that show how vulnerable our respiratory system is against major air pollutants. After all, it’s just only recently that lead, sulphur dioxide and nitrogen dioxide are present in significant amounts in human communities. Because of our modern and industrialised living, we’ve been slowly making our environments inhospitable to humans. The effects are even compounded because polluted areas often have high population densities. What about indoor air quality? Outdoor air is dangerous enough especially in highly urbanised societies. The high concentration of commercial and industrial activities in these areas make the pollutants much more harmful especially to young children, elderly people and others who already have respiratory issues. It’s also the case about our indoor air quality. After all, one way or another, air from the outside will come inside our dwelling or workplace. Whether it’s through ventilation or infiltration (entry of outdoor air into the building through joints, cracks and other openings), pollutants always find their way into private spaces. For example, carbon monoxide might be in unusually high concentrations at places near carparks and busy roads. Remember that earlier we discussed how carbon monoxide diminishes the blood’s oxygen carrying capacity (carbon monoxide has 250 times greater affinity). With that reduced capacity, we might experience impaired vision, loss of brain function and loss of consciousness. Whether we’re in our residential dwelling or in the workplace, often indoor air quality is last on the list when we’re figuring out why we’re unwell. It’s insidious and right now it’s really hard to pinpoint that poor air quality is the main culprit. Often we blame something else (like the food we eat, the heat) for what we’re negatively feeling or experiencing. Aside from carbon monoxide and other chemical contaminants, microorganisms could be equally harmful as well. For instance, the presence of moulds results to the release of biotoxins and organic metabolites into the air. These cause strong allergic reactions because our bodies can immediately recognise these as threats. Viruses and bacteria also cause serious harm. In fact, bacteria such as Legionella pneumophilia may cause fever, cough, severe pneumonia and even death. The dangers from microorganisms can be eliminated or reduced with better sanitation and adherence to building standards (e.g. adequate subfloor ventilation, minimising moisture build-up in bathrooms and other areas). However, these are not enough to guarantee an acceptable air quality especially for people susceptible to respiratory infections. Ventilation improvements still help. Natural ventilation can significantly reduce the concentrations of chemical and biological contaminants inside the dwelling or workplace. We can also tap into “artificial” ventilation because mechanical features can now be added to some modern HVAC systems so these can bring outdoor air into our homes. As discussed earlier, outdoor air also presents some dangers. It’s especially the case if you’re living in a highly urbanised area wherein there’s a high concentration of vehicular and commercial activities. Also, ventilation may not be enough to bring down the levels of biological and chemical contaminants inside your dwelling or workplace. Up to 90 per cent (or sometimes more) of our time is being spent indoors and most likely, the doors and windows are always closed. This makes many contaminants freely circulate and linger in closed spaces. 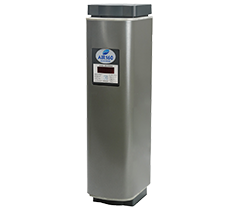 The Air160’s Hospital Grade 3M High Air Flow Electrostatic (HAFE) Filter with Antimicrobial Coating allows for effective removal of airborne particles and pollutants. 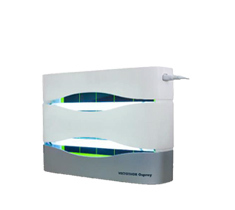 It also uses a Philips UV-C lamp to disinfect the air with Ultraviolet Radiation destroying viruses, bacteria, moulds and other micro-organisms. As the final step, the Air160 also uses a high-performance ioniser to purify and refresh the air. To better support your ventilation and other efforts to improve indoor air quality, contact us today for more information. Are You Really Safe Indoors? Up to 90 per cent of our time is actually spent indoors. At home it’s at least 8 hours (including sleeping). In the office and during transport technically we also spend our time indoors. Decades ago, any home or building is considered safe as long it meets structural requirements. But recently, there are identified threats that deserve equal attention. In fact, a new phenomenon is emerging called “sick building syndrome” that names such threat. As a result, poor indoor air quality can negatively affect home living and workplace productivity. Although it’s possible that the amounts of pollutants are really small, the effects accumulate and get compounded because we spend up to 90 per cent of our time indoors. Where do air pollutants come from? In general, pollutants come from modern living and poor construction. Poor ventilation also contributes because pollutants become more concentrated in the area and microbes have an excellent environment to thrive in. In particular, VOCs get a lot of attention (perhaps acronyms always raise alarms among people). Also, vapours and gasses that can be easily breathed in can cause immediate health effects. Our respiratory systems might not have enough defences against these harmful substances. It’s especially the case in workplaces wherein copiers and printers emit VOCs on a regular basis. With poor ventilation, the VOCs continue to circulate inside the premises. From time to time people can take in those harmful substances bit by bit. It’s also the case in many places where there are air fresheners, paint thinners, glues, moth repellents and petroleum-based products. Benzene, carbon tetrachloride and other VOCs gradually affect the health of everyone staying in the home or building. Formaldehyde (also considered a VOC) is particularly aggressive. As mentioned earlier, formaldehyde can come from adhesives, curtains, blinds, fabrics and thousands of other products and materials. Any structure always has these materials, which makes every structure a source of formaldehyde. In addition, we also have to consider the presence of biological entities such as moulds, bacteria and viruses. The biotoxins they produce can immediately irritate your respiratory tract and cause that unusual and unexplainable sick feeling. Also, their widespread growth indicates there’s a serious problem in the construction of the building (which can be easily prevented and corrected). Those are general recommendations. The overall goal here is to minimise your exposure to harmful pollutants and microbes. First, the approach should be minimising the sources of those pollutants (e.g. better choice of coatings and construction materials). Second is to improve air circulation and control the amounts or numbers of the microbes and substances staying in the area. Finally, install an ongoing protection against indoor air pollutants and microorganisms. After all, pollutants can easily enter a premise. In addition, there are literally dozens of things to watch out for when insuring good indoor air quality. Any of them can suddenly release significant amounts of VOCs or become a thriving site for moulds, bacteria and viruses. Air quality is said to be good or acceptable if it doesn’t cause upfront and long-term harm to occupants or users of a residential or commercial premise. In other words, there should be minimal amounts of pollutants or zero or minimal exposure to people. However, this can be very difficult to achieve. Initial prevention and continuous control are effective in improving indoor air quality. But this might not be enough to guarantee people’s comfort and safety. To achieve even better air quality and gain an added peace of mind, many workplaces and healthcare facilities now have air purifiers. These are especially important in environments where people have compromised respiratory systems. Poor indoor air quality can make their conditions worse or even introduce new problems to the patients’ overall health. Offices, stores, restaurants, surgeries & clinics, aged care facilities, pre-schools and childcare centres should have excellent indoor air quality so kids, patients and customers stay safe and comfortable. People stay in these premises for extended periods of time, which gives ample opportunity for microbes and pollutants to do their work. Some air purifiers (not all) can successfully purify the air and make it safer to breathe in. This is only possible if a thorough process is at work. This means the air purifying system should not only rely on filtration, but include radiation and ionisation technologies as well. Many companies deliver false claims about their “air purifiers.” But the truth is they only “filter” the air. In other words, their faulty system can only remove large particles. This is not enough if you want complete protection against indoor air pollutants. Second is UV-C Radiation where it starts to really make a difference. The air is treated with UV-C radiation (a high-performance Philips UV-C lamp does the work) that destroys the cellular structure of moulds, bacteria and viruses. Third step is the Ionisation wherein the ioniser launches 8.5 million negative ions per cubic centimetre of treated air. This ionisation stage is crucial in reacting with positive ions (forming heavier and larger compounds) that can be filtered. As a result, the air becomes safer to breathe in. With hospital-grade indoor air quality, you actually maintain or improve your health. That’s because you’ll experience fewer allergies and more comfort. Anxiety and depression can also be reduced because of the improved well-being you’ll achieve. Contact us today if you want to improve your indoor air quality. You can ask us about the coverage area of the Vectothor Air160 and its other technical specifications. Notice that whenever you try to swat a fly you’re only hitting air. And house files are just really persistent when it comes to roaming around finding food. It seems you already did everything you could to get their numbers to zero. But still, they’re still around contaminating every surface they land on. What should you do then? Better sanitation is only the first step in reducing the numbers of houseflies. They will have fewer breeding sites and food sources. Another initial step is by exclusion which is improving or installing additional barriers so flies won’t have an entry point in the first place. To go a step further, many workplaces and commercial facilities now have installed ongoing solutions against flies. These flying insect killer light traps capture flies by taking advantage of the fly’s biology. Flies are attracted to UV light (specifically UV-A light with spectrum of 300 to 420 nanometres). The flies will come and the glueboards would then capture them. The glueboard is crucial to capturing flies and preventing them from roaming around any further. After all, if a glueboard is far from effective, flies will just escape and continue to fly around. That’s why many flying insect traps now are temperature-optimised. These ensure total entrapment of the flying insects even in tropical temperatures. However, this is not enough to capture more flies more quickly. The number of flies that get captured is heavily dependent on the “attraction effectiveness” of the light traps. If more flies are being attracted by the flies, the natural consequence is more flies will be captured. But this is not always the case. Flies have been evolving for 250 million years ago (earlier than mammals which is only 200 million years ago). Through those millions of years, flies became excellent in recognising and evading threats. What’s more is that they reproduce really fast (a fly can lay up to 500 eggs in its lifetime) which makes it hard to catch up on their numbers. Flies are excellent in avoiding threats. You can readily notice that when you try to swat a fly. With the fly’s advanced eye structure and amazing aerial agility (2 wings plus two small paddles for better manoeuvring), physical attacks just won’t work. Also, flies can easily detect any less-than-natural light source. Perhaps the flying insect light trap truly emits 300 to 420 nm (according to the house fly vision spectrum). However, in the eyes of the flies it’s still less than natural. Let’s find out why. Yes, what seems fast is in fact in slow motion to the eyes of the flies. Time passes more slowly for these creatures, which is why no matter how you swat them, they can easily evade your attack. As mentioned earlier, one possible reason is that they have extreme aerial agility. But what’s more impressive is due to their small size and fast metabolic rate, time passes more slowly to them. After all, time is relative (not a constant). What seems really fast to us humans may seem really slow to other creatures such as flies. In addition, we humans see the world as a continuous video. But the truth is we’re only seeing images and then we piece them together. Our brains can receive and process an average of 60 flashes per second. Within that number things look like a continuous video to us. But that’s entirely different for flies. These flying insects can receive and process an average of 250 flashes per second (more than 4x our capabilities). This impressive feature coupled with excellent reaction time and aerial agility makes flies awesome in recognising and evading threats. For example, a light source that emits lower than 250 flashes per second will look like mere flickers to flies. In other words, the light source becomes on and off when flies look at it. If this is the case, flies will see it as less-than-natural. To us humans the light source seems like a constant beam of light. But to flies it’s a series of flickers which may actually repel the flies and see them as threatening. This is the case with many flying insect killer light traps out there. Of course what we see is that those devices emit a constant beam of light. But in the eyes of flying insects, the light traps literally look like traps. The light source is questionable (far from the characteristics of natural sunlight). As a result, flies don’t come to the light trap. As we better understand the flies’ biology, we can then formulate ways and technologies to better capture them. For instance, scientists discovered that flies are particularly attracted to UV light (which is emitted by the sun). Through millions of years, flies navigate places with the sun as their main light source. After all, the eyes of the flies are particularly sensitive to that wavelength (especially 300 to 420 nm). But as you’ve realised, that’s not enough. We also have to consider the nature of the light source. Earlier we’ve discussed how a light source becomes a series of flickers in the eyes of flies instead of a constant beam of light. That’s why the solution then is to have a light source that emits UV-A light and at the same time does this in higher frequencies or cycles. Most other UV light traps only operate at 50 cycles per second. In other words, the light source is flashing on and off 50 times per second. Remember earlier that human brains can receive and process an average of 60 flashes per second (which is quite near to the performance of most other UV light traps). For us humans it’s a constant beam of light but flies see this as flashes and flickers. The most effective light traps then are the ones that have much higher cycles per second. For instance, the Vectothor Flying Insect Killer Light Traps operate at 10,000 cycles per second (way beyond that of human or insect capabilities). As a result, flies see the light source as a constant beam of light. It looks more natural and hence becomes more effective in attracting flying insects around. Here we’ve proven that knowledge is indeed power. Once we know how our sight works differently than of flies, we can then devise more effective solutions to attracting and capturing those flying insects. It’s only quite recently that we found out that humans only actually see images and then our brains process it to make it look like a continuous video. And then scientists found out the maximum number of flashes per second flies can detect before they can see a light source as a constant beam of light. With that knowledge and our current technology, scientists and engineers designed flying insect killer light traps that take advantage of the flies’ biology. First, light traps operate on UV-A range (the housefly’s vision spectrum). Second, the light source is made to be of higher cycles per second (so the light source appears as a constant beam of light). The result is more effective light traps that can catch more flies faster. First rule about traps is they shouldn’t look like traps in the first place. For instance, if the light flickers it’s a clear sign for flies to stay away. But if the light performs at 10,000 cycles per second (given that emissions are in the fly’s vision spectrum) such as what we have here in Vectothor, it’s guaranteed for the light trap to work optimally. For the best ongoing protection against flies, many business owners and managers worldwide contact us here at Vectothor. With our high performance (10,000 cycles per second, UV-A light emission, temperature-optimised glueboard) and cost-effective solutions (up to 9,000 hours of continuous use), your workplace or business will be better protected from the flying insects. Contact us today for a specific solution for your workplace or business. We have a comprehensive selection of products with different ranges and features. For offices, cafes, restaurants and shops we have the Vectothor Falcon with 35+ square metres coverage. We also have other scientifically designed products such as Vectothor Kingfisher that are ideal for wet industrial environments. Flies have existed for millions of years and in Australia alone there could be about 30,000 species of flies. Their extinction is a monumental task that will require drastic changes and measures. It’s almost an impossible task because some fly larvae can actually survive in harsh and uncommon environments such as inside beehives, hot springs (or other areas with extreme temperatures) and even on petroleum. Right now you can already witness the fly’s supreme ability to survive by trying to catch or swat one. They have impressive aerial agility and their nervous systems have evolved to dodge predators and other threats. In other words, flies were built to survive and thrive. For millions of years they have existed and survived through generations. But will flies ever go extinct despite their evolutionary advantages? The short answer is no and it’s very likely they’ll outlive humans. There are four main groups of flying insects that we’re often concerned about. These are the mosquitoes (the name itself means “little fly” in Spanish), bush flies, blowflies and houseflies. They only have a short time to live but it’s all dedicated to feeding, mating and laying eggs. With only a few weeks to live, they dedicate their lives to surviving and producing the next generation. If more new flies are produced (and in a rapid rate) than flies that die or are killed, expect their numbers to rise exponentially. For instance, a female housefly can lay up to 150 eggs in one batch (up to 500 eggs total in her lifetime). Even if they don’t all turn up to become maggots and adult flies, the number is still large. Aside from fast and “productive” reproduction, another key to successful evolution and survival is the ability to thrive in different kinds of environments. As mentioned earlier, maggots can be present in a wide variety of environments with different temperatures and physical and chemical compositions. As a result, they have some kind of insurance that the next generation will live on despite the prevailing conditions. It’s a similar case with how humans had spread around the world. One popular theory was that the Ice Age allowed humans to migrate to different parts of the globe. But eventually they were cut off from one another as the ice melted. Due to the previous migrations, groups of humans were able to live and adapt to different climates and environments. Somehow finally there was an insurance that human life would still go on in case something went wrong with the other regions (huge disasters might wipe out large groups of people in one area). This ability to live and adapt to different environments allows different species to survive and become resilient through the centuries and millennia. Death is a natural part of all that. But as long as the next generation is always being prepared, the species will continue to live on. Another key to the successful evolution and survival of flies is food availability. Due to their small size, naturally they’ll only need very small amounts of food. In many cases throughout the world’s biological history, huge creatures die first whenever there’s a catastrophe that limits the amount of food available. Huge creatures have a lot bigger requirements while in contrast, small creatures such as flies can survive on crumbs. In addition, flies are not very selective and the food sources are always available (even in urban settings where you can’t often see dead organic matter). They might be even regularly feasting on human sweat to get the protein needed for producing eggs. This should give us an idea of how much (or how little) they need to feed and survive. Right now there might be billions of flies in Australia and they’re found in both urban and remote areas. These flies (whether it’s a housefly or a bush fly) feed on rotting fruits, plants and animals. They can easily find those in natural environments. Dead plants and animals are always present even in deserts and semi-arid regions. Where there is life (or death) expect flies to be there right now or sooner or later. Due to the primitive digestive system of flies (whether it’s a mosquito or housefly), they need food wherein the nutrients are readily available. There should be minimal processing as opposed to humans where there are several steps and enzymes required. As a result, flies often take food in a liquid form (decaying organic matter or blood from vertebrates in the case of mosquitoes). Another way they take in food is by excreting saliva on the food surface itself and then sucking it back together with the food particles and nutrients. This leads to the contamination of food which can cause diseases such as cholera, typhoid and even tuberculosis. They might have picked up the microbes and parasites from faeces garbage, decaying matter and other unsanitary surfaces. They land on food and transmit those dangerous microbes. This is a huge concern especially in food processing facilities, home kitchens and restaurants. Even in business offices the risks carried by flies can’t be ignored. These creatures persist in searching for food. They might land on someone’s lunch and cause harm to the person. Although natural environments provide richer food sources for flies, urban areas also present opportunities for them to thrive because of garbage and unsanitary conditions. As discussed earlier, flies can get by with very little and they are very fast to reproduce. They get down to business quickly once they’re capable of roaming around. Every movement they take might be related to eating, food search or reproduction. Flies and other flying insects are considered pests in urban locations or any area with humans. It’s like humans and flies are never meant to co-exist because they’re adversarial creatures. One causes harm to the other but still, they co-exist actually even in areas dedicated for human residence. Flies are pests where humans live. However, those small creatures have a vital role in natural ecosystems. They help break down dead and decaying matter into more manageable chunks for bacteria to consume and break down further. As a result, the organic nutrients will go back to circulation. Both the larvae and adult form of flies can accomplish this. As they break down decaying matter, it gains more surface area thereby accelerating its decay. In addition, flies are food for those creatures higher in the food chain. Birds, other insects and animals feed on flies (both larvae and adults) which in turn are prey themselves to other larger animals. Take away the flies and you disrupt the whole food chain. It might even result in the extinction of many higher species. All the different species of flies have some role in natural ecosystems. However, they cause more harm to us humans than good especially when we’re preparing our food or going on with our professional and business activities. It’s our job then to stop them despite their evolutionary advantages. Will flies ever go extinct? The answer is no. Don’t count on it to happen because flies are likely to outlive us. They’re fast to reproduce and they surpass us when it comes to evading physical attacks (try swatting them). They can get by with very little and there are lots of food sources lying around (most of those food sources we might not see). So what can we do then? Many business owners and managers install and implement ongoing solutions to protect their products, customers and premises from the flies. As repeatedly mentioned and implied, flies persist. They will continue to roam around in significant numbers unless we step up and take measures to stop and control their numbers. One effective way to accomplish this is by installing flying insect control light traps in strategic locations. They attract the flies by emitting continuous UV-A rays and then capturing them through temperature-optimised glueboards. For instance, here at Vectothor we’ve developed such products (HACCP compliant, university-tested and with European design excellence) so the flying insect management programs in commercial facilities will be more effective. We have various units designed specifically for different environments and applications. Whether it’s a cafe, restaurant kitchen, office, hospital or an industrial facility, contact us today here at Vectothor and we’ll provide you with excellent recommendations. Can a plastic bag filled with water keep flies away? Is regular cleaning enough to discourage flies from visiting your home or business? Is it true that some plants such as basil and lavender actually repel flies? Here in this article we’ll discuss a few myths and truths about fly control. We’ll approach this in a practical and scientific way so you’ll know how to separate fact from fiction. Let’s start. You might have already seen a few homes with hanging plastic bags. Well, their supposed purpose is to repel and “confuse” flies. The concept is that the bag with water reflects light to confuse the flies. These creatures use light as their guidance system. Flies have evolved to find food in tropical forests and they respond or react well with sunlight. This might give you some peace of mind but it’s far from effective. It’s nice to have done something (a form of busy-ness) but if you look at the results, it will likely be really disappointing. Also, social proof or seeing other people doing it might tempt you to follow what they’re doing. You might still want to try this by hanging a transparent plastic bag partially filled with water. You will quickly see though that you still have many flies! It’s difficult to pinpoint which sets of actions are contributing directly to results when you’re trying a unproven methods for fly control. A more effective approach is regularly cleaning your home or business. After all, flies roam around because they know there’s a nearby food source or suitable breeding site. If you eliminate those sources and sites, there will be fewer opportunities for flies to feed, reproduce and thrive. Floors, tables, kitchen sinks and countertops should be wiped regularly. This is to eliminate food crumbs that flies might land on or pick up. This also applies to business facilities especially in restaurants and commercial kitchens. All the spills should be wiped clean immediately so as not to attract flies in the first place. It’s also highly recommended to seal or dispose of the garbage promptly so flies won’t have a breeding site. Many fly species lay eggs on rotting organic matter (fruits, vegetables, meat). Also take note that houseflies breed really fast (eggs quickly become larvae within 24 hours). Their numbers can multiply exponentially if the garbage and rotting organic matter are left open even for just a few days. Regular cleaning can yield results not just in reducing the number of flies roaming around. It’s also effective in preventing contamination and maintaining an orderly workplace. However, can it keep away all flies? What if a nearby business always has their garbage lying around? What if flies only use your premises as their pathway for finding a suitable food source and breeding site? Yes, flies will still continue to roam around even if you maintain a completely sanitary environment. These creatures have survived and evolved through millions of years because of their evolutionary advantages. Let’s accept the fact that cleaning is not enough in keeping away and controlling the number of flies. What about the use of plants to repel flies? Some people think that basil, lavender and other plants with characteristic aromas are effective in repelling flies. After all, plants have also evolved to have natural defence mechanisms against many insects and predators. For instance, corn, tomato and cabbage release chemicals to attract the predators of the insects that eat their stems and leaves. Many other plants also have similar mechanisms to defend themselves against insects and predators. After all, each species has an “instinct” to survive, reproduce and thrive. That includes plants wherein they might have also developed mechanisms to repel flies and other insects. Perhaps that particular scientific explanation paved the way for some people to believe that plants can be effective in repelling flies. Perhaps the aroma and chemicals being released by basil or lavender are toxic to flying insects. It’s also possible that the plants themselves attract other creatures that feed on flies and other pests. There are not enough experiments and studies done yet to prove the claim. The results vary and it’s difficult to find out which plants give the best results (if there’s a positive result at all) and whether there’s an effective placement (e.g. near windows or how many plants to use) so almost all flies will be repelled. Let’s assume that this approach is somehow effective. If we follow this thinking some questions will naturally pop up. Do we have to place a lavender plant near each window and door? What if the plant can cause harm to your lovely pets? Won’t the plants cause allergies to kids? How can we know for sure if the plants are really effective in keeping away flies and it’s not caused by any other means? The conclusion here is there’s no way to know. Also, flies adapt all the time and can find several other entry points towards inside your home or business facility. What you need instead is a proven and scientific way to control the number of flies and minimise the contamination events. Here at Vectothor we deliver scientifically designed fly control solutions for homes, apartments, offices, shops, restaurants, commercial kitchens, food production areas and other commercial facilities. We take a science-based and quantitative approach in fly capture and control. Starting from our Vectothor Falcon (35+ square metres coverage), this unit is highly effective because it emits UV-A light in a continuous beam (10,000 cycles per second). This combination of technologies is proven to attract the most number of flies. To effectively capture the flies, we have temperature-optimised glueboards that work even in less than ideal settings. This ensures total entrapment of the flying insects. To further improve fly attraction and capture, our devices use a Natural Contrast Grid to stimulate the flies’ landing behaviour. With our quantitative approach (use of Insect Counting Software), you can really determine the effectiveness of our fly capture devices. You can also perform a later analysis of the data so you can spot trends. If there’s a steady increase of captured flies, it only doesn’t tell you the effectiveness of our products. It also tells you that there’s a possible breeding area near your site or that sanitation practices should be enforced more strictly. Knowing the myths and truths about fly control (and separating fact from fiction) is not enough in minimising fly contamination events. It’s now time to take action by installing ongoing and long-term fly control solutions in your home or commercial facility. This is the perfect approach to complement your sanitation standards and integrated pest management program. Contact us here today at Vectothor and let’s discuss your site and requirements. We have a wide range of products with different coverage and particular applications (e.g. we have units for wet industrial environments). With European design excellence and university proven performance, many homeowners and businesses contact us whenever they need an ongoing and long-term protection against flying insects. Why Houseflies are Attracted to Lights? First, houseflies might be using the lights as a source of safety. In addition, once a single fly roams around a light source, other houseflies might also follow. In particular, flies are attracted to light sources that emit wavelengths within the UV-A range (315 to 400 nanometres). Scientists and product engineers have actually utilised that knowledge to develop effective light traps for capturing flies. Many of those light traps have clear specifications that they emit wavelengths within the UV-A range. This wavelength range appeals to flies thereby maximising the number of those flying insects that gets captured. The solar spectrum (the range of electromagnetic energy from the sun that reaches Earth) includes ultraviolet, visible and the infrared. Just like most creatures including us humans, we have adapted and relied on that spectrum to navigate through the environment and aid us in our survival. It’s the same case with houseflies. In particular, they have evolved and adapted with respect to the UV-A range. Their complex eyes have evolved to see UV-A range as safe and probably even vital to their survival. That’s why when they approach a light source emitting within the UV-A range, they perceive it as safe and non-threatening (whether the light source is a trap or not). As a result, more flies will be attracted and captured. The results even get better if the light trap stimulates the landing behaviour of flying insects. This is possible through a unique attraction grid that somehow emulates how flies navigate through tropical forests. The attraction and capture mechanism almost stays the same in different light traps. UV-A range is utilised and usually a glueboard is used to capture the flies. However, some environments have harsh settings (e.g. high humidity levels and temperatures). It’s especially the case in industrial environments where there are risks of explosions. These require different solutions as opposed to ordinary commercial settings such as shops and offices. That’s why here at Vectothor, we have developed specific solutions for different environments. We have specialised light traps designed for offices, restaurant kitchens and industrial settings. You can contact us today and we’ll provide you with excellent recommendations appropriate for your location. How Do Flies Affect Humans? Why Flies Still Exist? Aside from harming human health, the presence of flies can also result to significant financial losses (or even complete shutdown of the business). For example, fly infestation in restaurants and cafes will turn away customers. Another example is in the food production and processing facilities. The presence of too many flies will compromise the quality of the goods. Why flies still exist? What’s their purpose? Given the harm brought by flies, why do they still exist? Even with rigorous pest management programs, why do flies still persist? Let’s answer these questions that puzzle human minds for decades. First, flies actually have a role in the natural ecosystem. These flying creatures aid in decomposition of rotting organic matter. Somehow, they make decomposition more manageable for microbes. In addition, most other animals won’t rely on decaying matter as their food source. Moreover, the flies are still a vital part of the food chain. Adult flies are frog’s food sources. Maggots might be the food sources of other insects. Without the flies, there will be fewer food sources for many creatures. As a result, the population of these creatures (and the animals higher in the food chain) will decrease or even face extinction. In other words, flies are vital in the natural ecosystem but these creatures are pests in human societies whether urban or rural. Flies still feed on decaying organic matter but they also transmit the pathogens that come from those sources. Flies have undergone complex biological evolution. They have continued to exist and persist because of their evolved mechanism for survival. Good news is scientists have already developed light traps that tap into flies’ biological tendencies. For instance, here at Vectothor we’ve developed light traps that emit continuous UV-A light. This was found to yield more results because the light traps closely mimic nature (which disarms flies’ biological defences). Contact us today here at Vectothor if you want a more effective fly management program for your business (e.g. office, shop, restaurant, kitchen, food production area, industrial environment). We’ll provide excellent recommendations specific for your application. Cooking may amplify the odours and attract more flies as a result. The smell of the barbecue getting grilled and the steam coming from cooked fish and meat will likely drive flies to your place even from kilometres away. It’s especially the case in restaurant kitchens where regular cooking and food preparation happens. These environments are likely to attract flies 24/7. However, these flies should be kept out as much as possible. This is to minimise the health risks brought by flies. Aside from keeping away flies, sealing the entry points will also prevent entry of rats, insects and other pests. The window and door screens also serve the same purpose which is to keep away small creatures from entering your premises. But even with all these rigorous practices, flies will still be able to come in and land on the kitchen counters, cookware, ingredients and prepared food. To stop and limit the flies’ actions, they should be captured as quickly as possible. Even a single fly can contaminate the ingredients and prepared food. The problem gets worse when there are numerous flies that roam around and interrupt both the restaurant staff and customers. That’s why it’s recommended to have an ongoing protection against flies. This can be accomplished through the use of light traps that emit continuous UV-A radiation and temperature-optimised glueboard like those provide here at Vectothor. If you require a professional and effective solution in fly control, you can contact us here at Vectothor. We have specific solutions designed for restaurants, kitchens and other food facilities. Regular sighting of flies, presence of numerous maggots and small dark spots on ceiling and walls might be signs of fly infestation in your home or business. It’s crucial to notice those signs early on to prevent the harm brought by flies and stop their proliferation. It’s recommended to perform daily or weekly inspections (and site visits) to your business. If you’re the business owner or manager, pay special attention where customers stay and the locations of the most critical parts of the supply chain. For instance, do certain sections of your shop get visited by an unusual number of flies? Do flies continuously roam around your food packaging facility? Why fly infestation is often overlooked? The regular sighting of flies is the clearest sign. However, this sign is often missed because of the human’s tendency to ignore regular occurrences of things. In other words, a stimulus (seeing flies) loses its effect if we encounter it regularly. But the fact that we don’t notice the flies doesn’t mean they’re not there. They will still continuously carry and transmit pathogens they’ve picked up from trash and rotting matter. Whether we’re aware or not, flies will still compromise our goods and even harm our customers and employees. Fly infestation is often a sign of a bigger and more serious problem (poor sanitation). The flies are present in the first place because there are food sources nearby. In addition, they have gained entry into your home or business because there are access points where rats, insects and other small creatures can enter. That’s why the first step is to improve sanitation and seal possible entry points of flies. Improving sanitation removes the flies’ food sources. On the other hand, sealing the entry points prevent flies from coming into your home, kitchen or commercial facility. This complements good sanitation because flies may still come in no matter how clean your premises are. These are already effective in significantly limiting the number of flies. This results to fewer risks because there will be fewer carriers of diseases. In addition, the area becomes more inviting to customers (especially in shops and restaurants). Good sanitation and entry point sealing may not be enough. These two approaches focus on prevention. What works best is integrating these approaches with a 24/7 solution (or during business hours). In other words, the flies must be captured before they continue to roam around your premises. This can be accomplished by installing fly traps in strategic places. For instance, many offices, shops, restaurant kitchens and other commercial facilities have Vectothor fly traps. These effectively attract and capture flies before these creatures cause harm to your customers and business. Contact us today here at Vectothor if you require effective fly control lamps for your commercial facility. We have specialised devices designed for different environments. Which Indoor Flying Insect Traps are Good for Businesses? Indoor flying insect traps are now installed in many business establishments. Business owners and managers have already realised the importance of an ongoing protection against pests such as flies. That’s why businesses in different industries create dedicated programs for minimising or eliminating the risks of flies. It’s especially the case with kitchens, restaurants and food production facilities. The flies will contaminate the food and endanger consumers’ lives. Offices, supermarkets and retail shops often have normal and comfortable working temperatures. But it’s a totally different case with industrial environments (areas with high humidity levels and risks of dust explosion). For instance, the Vectothor Falcon is ideal for most commercial facilities such as offices and retail shops. However, it’s not the most recommended unit for wet industrial environments. The Vectothor Sea Eagle might be more appropriate because it’s specifically designed for harsh and extreme work areas. In addition, it’s recommended to ensure that the fly traps have lamps that perfectly match the house fly’s vision spectrum. That’s why many fly control units have an ASTRON Lamp installed. Aside from meeting the house fly vision spectrum of 300 to 420 nm, the lamp is also approved for use in HACCP Approved food facilities. It can also provide up to 9,000 hours of UV-A light (approximately one year of use). Aside from effective attraction of flies by appealing to their vision spectrum, another crucial aspect is the capture mechanism. Once the fly lands onto the glueboard, it should not be able to get away. This is accomplished by having a temperature-optimised glueboard that can work effectively even in tropical temperatures. This ensures total entrapment of flies and other flying insects. This way, fewer and fewer flies will roam around the commercial facility. Here at Vectothor, our scientifically designed fly control lamps are optimised according to the flies’ biological tendencies (natural sunlight, continuous emission of UV-A light, natural contrast grid). Our units’ features work together to maximise attraction and capture of flies. Contact us today and we’ll provide you with excellent recommendations specific to your facility. What are the Effective Fly Traps for Kitchens? Looking for effective fly traps for kitchens? Restaurant and other commercial kitchens need ongoing protection against flies. Although regular and complete sanitation has a huge positive effect, fly light traps are still crucial to preventing more flies from roaming around. For example, the Vectothor Kite (35+ square metre coverage) is designed for kitchens, restaurants and food production areas. It complements the measures taken by the managers and staff in controlling the number of flies in their facilities. Those features work together to limit the number of flies during business hours. This way, you minimise the risks and dangers brought by flies. After all, they can easily transmit diseases and microbes whenever they land. There are fly control lamps now that can be installed on walls or ceilings. For instance, the Vectothor Merlin 45E (45+ square metre coverage) offers flexibility in placement and installation. It can be placed on the ceiling or wall (and with the ability to link 4 units together). Its versatility makes it a popular choice among restaurant owners and staff. The key is to ensure that the fly traps have enough coverage area so they can attract and capture more flies. Many quality fly control units now have at least 35 square metres of effective coverage. These can be already effective in small commercial kitchens. In addition, ongoing measures such as fly traps can complement the above steps in limiting the risks and dangers brought by flies. That’s why here at Vectothor, our scientifically designed flying insect light traps are optimised for use in kitchens, restaurants, cafes, offices, retail shops and other commercial facilities. Contact us today and we’ll provide you with specific recommendations for your business. Effective fly control in restaurants starts with routine sanitation and immediate cleaning of any spills and leftovers. It’s especially the case with restaurants that serve seafood and grilled meat where flies can smell the food sources even from a mile away. Which flying insect light traps to use? In other words, the key features revolve around effective attraction and capture of flies. This can be accomplished by designing the devices according to flies’ biological tendencies and the temperature and humidity levels in the area. For instance, the Vectothor Merlin 100E (100+ square metre coverage) is scientifically designed for restaurants, shops and other dry environments. In contrast, the Vectothor Sea Eagle (coverage area of 150+ square metres) is specifically designed for high humidity and highly volatile environments. For restaurants, basic units will suffice (given it has enough coverage area) to effectively control the number of flies. Other types of units might be required for restaurant and industrial kitchens because they might have high temperature and humidity levels (contact us today which unit is appropriate for your application). Effective flying insect management requires an integrated approach (a combination of routine and ongoing protection against flies). Sanitation and limiting entry points are the first steps. For ongoing defence against flies, a fly killer lamp is found to be suitable for restaurants and other commercial facilities. Call us today at 13 35 36 (for Australian clients) and our expert staff will provide you with excellent recommendations that suit your restaurant (including units with the right coverage and specifications). An indoor fly lamp killer can help make your shop or office cleaner, safer and more professional. After all, flies roaming around can affect your company’s image and reputation. For instance, potential customers are walking on the aisles and checking the goods displayed on the shelves. When they see flies following them around, they tell a lot about the business. It gives the impression that the area is unsanitary. It’s especially the case in restaurants and cafes where people eat and drink. Flies have successfully evolved which is why they still exist. Though there are already effective fly management programs in place, these are not enough to give round the clock protection to your business against flies. Limiting entry points and maintaining the area sanitation will keep away flies (in addition to maintaining a clean and fresh smell). These are fundamental procedures that any business should regularly practice. To go a step further, many business owners and managers install an indoor fly control device. This is to actively capture the flies and prevent them from spreading diseases and reproducing. How fly control lamps work? First, the most effective fly control lamps emit continuous UV-A rays (also with the aid of a natural contrast grid). This is to mimic natural sunlight as much as possible. This way, flies won’t perceive the lamp as threatening. As a result, there’s a better tendency for them to come to the light and get captured by the temperature-optimised glueboard. For instance, the Vectothor Falcon Plus (with 60+ square metre coverage) emits a high frequency light pulse in the UV-A range. Aside from its effectiveness in attracting and capturing flies, it also has a discreet uplit design which is ideal in many commercial facilities such as offices and retail shops. If you require a round the clock defence against houseflies for your office or store during business hours, here at Vectothor we can provide you with the most effective solutions. If you contact us today, our staff will provide you with excellent recommendations specific for your application. We have fly control lamps designed for offices, retail shops, restaurants, cafes, kitchens and other commercial facilities. What are Flies Attracted to Most & How to Capture Them? What are flies attracted to most? They’re attracted to easy rich food sources such as faeces, rotting meat, decomposing animals and fruits. After all, flies still have a primitive digestive system. They only seek nutrients they can easily process. Aside from easy rich food sources, flies are also attracted to things that resemble nature. Through millions of years, they have evolved through their interaction with the natural environment (when office buildings and artificial light don’t yet exist). That’s why fly light traps should resemble natural sunlight. Flies would then perceive those devices as non-threatening. Many companies even integrate a natural contrast grid to further emulate nature. As a result, more flies will be attracted and captured. The key here is to understand the flies’ biological tendencies when designing means to capture them. This is what we do here at Vectothor wherein we design fly control lamps that emit rays which closely mimic natural sunlight (UV-A range emitted continuously). Flies continue to roam around in an area because there are food sources nearby. A few researches state that flies can detect food even a few kilometres away (may depend on the food source and wind conditions). Notice how flies are fast to fly around your leftovers? It’s a result of their advanced antennae which have numerous and capable olfactory cells. These are responsible for their high level sense of smell. However, flies can still roam around even if your area is clean and disinfected. Perhaps they’re searching for food and your site is a gateway. Every once in a while, flies can still find their way. What are flies attracted to most and how to capture them? First step is to keep the area clean and eliminate the flies’ potential food sources. Second step is to capture them before they cause too much contamination (and causing distraction to you or your staff). As mentioned above, modern fly control traps are specifically designed to take advantage of one of their biological tendencies (usage of UV-A light to mimic natural sunlight). These fly control lamps can be your last line of defence (and best form of offence) because they prevent flies from roaming around too much. Contact us today here at Vectothor if you need scientifically designed fly control traps. We can provide you with excellent recommendations depending on the applications we’ll discuss. How to get rid of flying insects indoors? It’s often a combination of one-time, regular and ongoing solutions to get rid of flies and other insects. One-time solutions might be sealing cracks and other possible points of entry. Regular solutions require daily cleaning and making sure the garbage is thrown properly (or sealed). Ongoing solutions include having fly traps to ensure zero or minimal number of flies roaming around. Flies seek every possible points of entry no matter how small those holes are. That’s why in many homes and businesses (especially kitchens and food production areas), one of the first steps is to seal the holes and prevent flies from coming in the first place. Aside from sealing the cracks, window and door screens are also being installed. Or, doors and windows are kept closed. However, this is not a perfect solution. It’s still good but when doors and windows are opened (even just a moment), flies will quickly take advantage of this. This is fundamental in proper flying insect management. After all, the presence of flies may indicate a bigger problem which is poor sanitation in the area. These can be done daily, weekly or monthly depending on the level of risks and frequency of usage of the area. Ideally, the cleaning is done before and after the work hours to ensure no food sources will stick around for flies to land on. The most successful approach often integrates the most effective methods. This is also true for proper sanitation and flying insect management. That’s why many business owners and managers seal entry points and at the same time apply sanitation practices regularly. In addition, they implement ongoing solutions to further lower the risks. These devices are optimised for attracting and capturing houseflies. Take note that one or few flies are enough to compromise the quality of food products. Here at Vectothor, we specialise in providing fly light traps optimised for capturing houseflies. These fly control lamps emit continuous UV-A light that mimic natural sunlight. These were designed according to the biological tendencies of flies. Contact us today and we’ll provide specific recommendations (we have devices designed for restaurants, offices, retail shops). How flies contaminate food? Flies might have landed on garbage, faeces and rotting matter. They can then contaminate the food by transferring the microbes from those surfaces (by contact or defecating). The 6 jointed legs of a housefly can transfer germs from one surface to another. In addition, the fly itself can be a threat to food safety. Someone might accidentally eat the fly together with the food. In many cases, the presence of flies is actually a sign of a much more serious problem. It’s about ineffective sanitation and lack of flying insect management programs. Within the site or nearby areas might be rich food sources for the flies. If these are not addressed, flies will continue to enter and roam around. That’s why many businesses (especially in the restaurant, hospitality and food processing industries) take measures in sanitation of the environment (including what the staffs wear). This way, there will be fewer opportunities for flies to thrive. For instance, food processing facilities have detailed documentations on maintaining sanitation. The floors, walls and ceilings are properly sealed to prevent entry of flies. In addition, they do routine cleaning and immediately clean up the spills. Regular practice of proper sanitation yields amazing results. However, flies can still enter and contaminate food. After all, weekly or monthly sanitation is just the first step to ensure food safety. For added safety, there should be an ongoing solution to further minimise the risks from flies. One proven way to accomplish this is by installing fly control lamps. These optimally designed devices capture flies with the use of continuous UV-A light and temperature-optimised glueboards. 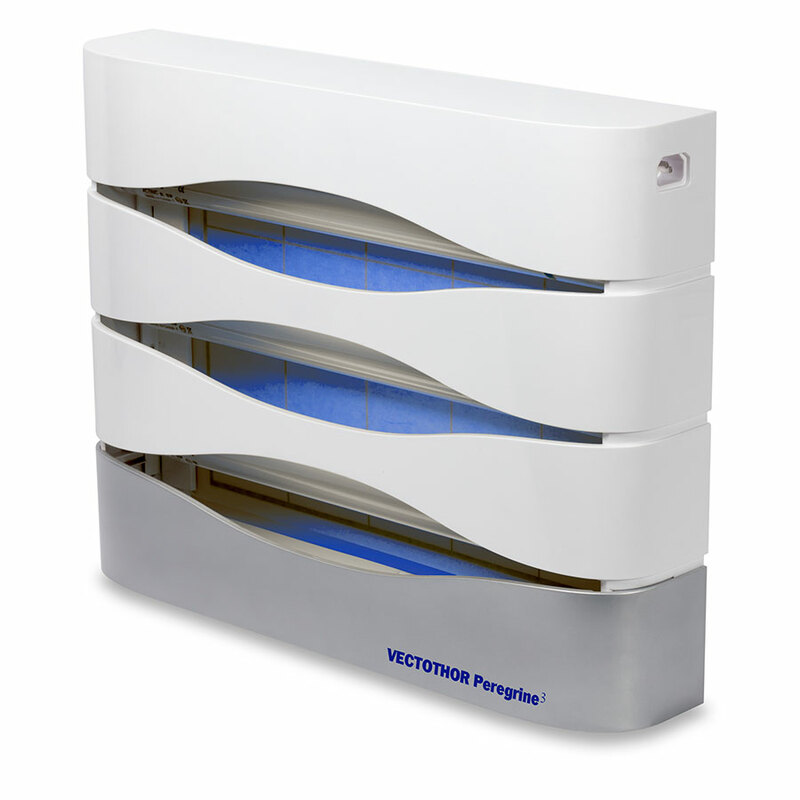 For example, the Vectothor Peregrine 3 is ideal for fly control in commercial kitchens and food production areas. It has an effective range of at least 120 square metres which is perfect for many commercial applications. Flies contaminate food because they transfer germs from one surface to another. Also, they might be accidentally consumed if there are no fly control solutions in place. That’s why here at Vectothor, we specialise in providing ongoing solutions for flying insect management. Our ceiling- and wall-mounted fly traps effectively attract and capture flies for better health and safety. Contact us today if you need specific solutions for your business in minimising the risks coming from flies. We will provide you with excellent recommendations and detailed specifications. Flies in the House All of a Sudden? Flies in the house all of a sudden? Common reason is there’s infestation nearby or inside your home. Dozens or hundreds of eggs already hatched and developed into flies. Whether the source is inside your home or nearby, it’s good to have a proactive solution in place. For instance, many homeowners (and even business managers) install flying insect killer light traps. This way, their property or business has an active protection against houseflies. The flies might be coming from a place near you (not your fault) but to ensure safety, it’s good to have a fly control lamp in your home or business. Proper sanitation is still the first step (and probably the best way) to effectively control the number of flies. If there’s always a food source and breeding grounds for flies, expect the flies to be always present no matter how many fly control lamps you place. Flying insect light traps perfectly complement the application of proper sanitation practices. You eliminate the source while further protecting your home or business from flying insects. Sanitation starts with eliminating the food sources and breeding grounds of flies in the first place. Meat, garbage and rotting vegetables are where flies thrive and lay eggs. These are rich food sources for both the flies and resulting larvae. Sanitation is also about eliminating point of entry. That’s why window and door screens became popular. In addition, walls, floors and ceilings should also be properly sealed to prevent entry of flies. It’s a quite different case with businesses where customers and employees come in and out of an area. This is a good sign because it means sales and operations are ongoing. But it’s bad news because these are opportunities for flies to come in. Flies can come in suddenly no matter how careful we are. That’s why your last line of defence should actually be a kind of offence, which is capturing them while in your premises. There are now scientifically designed lamps for fly control. For instance, the Vectothor Falcon emits continuous UV-A light optimised for attracting flies. Its temperature-optimised glueboard retains the flies it captures. This might be within or out of your control. You can still clean up your house and make sure flies won’t have any breeding grounds. But still, flies can enter your home and suddenly contaminate your food and water. That’s why it’s recommended to capture them and not allow them to roam around. Here at Vectothor, we’ve designed products just for that. Our team designed fly control lamps according to the biology of flies. Contact us today if you need an effective flying insect trap for your home or business. What’s the Science Behind Fly Control? What’s the science behind fly control? First, it’s important to understand the biology and evolution of flies. Then, let’s discuss how that knowledge helps in effective fly control in homes and commercial facilities. Let’s start. Why flies are persistent and hard to catch? Flies are hard to catch and swat because of their complex eyes. Their eyes allow them to see even the slightest movements in a wide field of view. As a result, they can detect the threatening movements and respond accordingly. The eyes of the flies can also see various colour spectrums invisible to humans. They can also see flickering lights that other animals won’t notice. These flickering or “unnatural-looking” sources of light might pose a threat to the houseflies. Why some UV fly lamps are ineffective? The explanation above gives a hint about why some UV fly lamps are ineffective. That’s because houseflies are excellent in detecting and reacting to visual threats. If the fly control devices look threatening (e.g. unnatural, flickering lights and far from optimised), houseflies will stay away. This makes the lamps ineffective and the flies will continue to roam around. That’s why fly control lamps should mimic nature as much as possible. This is to make the devices less threatening and more effective in terms of capturing flies. It’s only possible if the devices were scientifically designed according to the biological tendencies of houseflies. How to choose fly control lamps? Mimicking nature is the key. The sunlight’s UV-A wavelength range is 300 to 400 nm. If the lamp emits light below or beyond that range, this might be perceived as a threat by houseflies. Humans can’t actually see that particular UV-A range. Although the lamp emits a purple or bluish colour, it’s not the UV-A range. What we see is the visible spectrum (390 to 700 nm). This is beyond the ultraviolet wavelength which houseflies and other insects can see. That’s why it’s important to choose fly control lamps that emit within the UV-A range (300 to 400 nm). In addition, the emission should be continuous (almost no detectable flickers). Remember that the flies’ eyes are far more advanced. They can better detect those threats and respond quickly and accordingly. Here at Vectothor, our scientifically designed fly lamps emit continuous UV-A rays. Moreover, we incorporated a natural contrast grid to further improve our devices’ effectiveness. For instance, the Vectothor Peregrine 3 mimics nature as much as possible while being ideal for kitchens, food production areas and other commercial facilities. We also have other products better suited for specific areas and applications. Contact us today and let’s discuss how our scientifically designed UV fly lamps can help with your improved area sanitation. How to effectively control flies in shops? This is important for maintaining an atmosphere of cleanliness and professionalism in retail stores and shopping centres. After all, modern customers evaluate businesses on every level and detail. This is the first step towards effective commercial fly control. The floors, walls, ceilings and shelves should be regularly cleaned. This way, flies won’t have reasons to stick to those surfaces. Flies will be naturally attracted to places with possible food sources. Take note that flies only need small food particles for complete nourishment. Even if it’s just bread crumb or floor dirt from outdoors, flies will be able to smell them. Although this initial method is highly effective, this is far from sufficient. Flies will still continue to roam around in search for food. That’s why business owners and managers implement other methods. Aside from regular sanitation, limiting entry points is also an effective method. This is accomplished by sealing cracks and holes in floors, walls and ceilings. Another way is by placing screens on doors, vents and windows. As a result, fewer flies will be able to enter into your premises. However, this is still far from sufficient. This is especially the case with shops that have doors open all day (and stores with constant influx of customers). Flies will still be able to enter and roam around. This could go on for several hours each day and annoy your customers. The two methods above are still essential for effective fly control. But to get better results, it’s time to implement science-based methods. One such method is the use of UV lamps to attract and capture the flies. The most effective fly control lamps are scientifically designed according to the biology of flies. 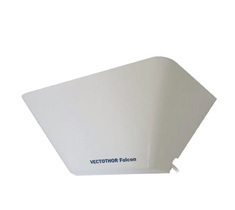 For example, the Vectothor Falcon emits continuous UV-A rays (mimics natural sunlight) that are most effective in attracting and capturing flying insects. In addition, it has a discreet uplit design which is ideal for shops. The best method is often a combination of different approaches. Managers and business owners often implement an integrated approach to minimise the number of flies and their effects. That’s why here at Vectothor, we’re also committed to providing scientific approaches to controlling the number of insects in shops and other commercial facilities. Contact us today and let’s discuss your requirements. How to capture flies in restaurant kitchens and make the area more sanitary? Here in this short article we’ll discuss the most effective ways on how to accomplish that. We’ll also discuss how to have an effective fly control system in your work area. Let’s start. Prevention is still the best way especially for almost all sanitation issues. This way, flies won’t be attracted to your kitchens in the first place. In addition, you’re promoting a better working environment through improved sanitation practices. That’s why many kitchen staffs now immediately clean spills from food and ingredients. Regularly they also clean the drains to remove the possible food sources of flies. They take the proactive approach by applying excellent sanitation. Restaurant kitchens should have screens on the doors and windows. Moreover, these doors and windows should also be tight and close-fitting. This is to block the flies and other pests from entering your kitchens. Closing the doors regularly is also a good way to limit the number of flies entering. However, this might be challenging to implement especially in busy kitchens. Restaurant operations during the peak hours will guarantee the flow of people in and out of the kitchen. The two approaches above are still important. These are proactive methods in preventing flies from entering the premises. In addition, these are excellent sanitation practices in restaurant kitchens and other commercial facilities. But to further limit the number of flies, one ideal way is to capture them while they’re in the area. This way, they won’t be left roaming around. You also capture the flies that might reproduce to hundreds or thousands. For instance, the Vectothor Sea Harrier is specifically designed for wet areas such as restaurant kitchens. They can still effectively capture flies even in kitchens with less than ideal temperatures and humidity. Both prevention and capture work hand in hand to keep your restaurant kitchen sanitary. The difference is that UV fly control devices can work silently in the background all day long. It’s an integrated approach to minimise the number of flies and risk of fly contamination. It’s a combination of the right management approach and technology to control the number of flies in restaurant kitchens. Here at Vectothor, we focus on the science and technology part. Our scientifically designed UV lamps for fly control are effective in capturing flies. These lamps mimic the nature for optimal results. You can call us today at 13 35 36 and we’ll provide excellent recommendations suited for your restaurant kitchen. Why Fly Control in High Humidity Areas is Different? Fly control in high humidity areas is different to typical commercial environments such as offices and shops. After all, high humidity levels present a different scenario and a different level of risk. As a result, high humidity areas might require a different set of approaches. As you’ve noticed, these basic approaches focus on improving or maintaining environmental sanitation and hygiene. These approaches also apply to harsh environments no matter the facility. What about high humidity areas? The approaches could be more extensive and intensive when it comes to harsh environments. That’s because some industrial facilities are at higher risks of explosions. High humidity and highly volatile environments can act as catalysts or initiators for possible explosions. For instance, metal processing facilities (either for metal products or packaging) may have explosive suspensions in air. Powdered aluminium or titanium are examples. These substances may undergo rapid combustion under the right conditions. That’s why engineers and operations managers select a fly control unit specifically designed for harsh environments. The risks are too great which is why every device and equipment (no matter how small) is carefully selected. This unit is specifically designed to effectively control flies in harsh industrial environments without posing explosion risks. Aside from safety, the unit can still maintain its fly capture effectiveness even in high humidity areas and other extreme environments. It can be mounted either on the wall or ceiling for strategic placement and maximum coverage. There are other units specifically designed for other environments. It’s recommended to ask assistance regarding the selection of a fly control device. This is to ensure that you’re installing an appropriate unit that presents no risks to your industrial environment. Here at Vectothor, we have specific units designed for different applications. We have different units for normal commercial settings (e.g. offices, shops) and different ones for the extreme industrial settings. Contact us today and we’ll give you excellent recommendations. Flicker free fly lamps provide continuous light rays that flies perceive as natural. They see it as non-threatening which triggers their instincts that the lamps are safe. As a result, a higher number of flies will be captured. In contrast, flickering lights will repel flies. They will see it as threatening which makes the fly lamps ineffective or far from optimal. The flickering might not be obvious to the human eye. But the flies’ unique eye structure allows these insects to detect rapid and subtle flickers. After all, flies have evolved through millions of years of natural selection. They have already developed strong protection and detection mechanisms against threats. 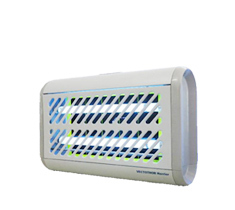 Aside from being non-flickering, the fly control units should also emit a stable UV-A light. This is the type of light where the most number of flies are attracted to. That’s because it’s the similar wavelength range as the natural sunlight. In addition, the unit should also have a natural contrast grid (that mimics outdoor surroundings). The main objective is to emulate nature as much as possible. This is to trigger the flies’ biological responses. The flies should be able to come to the light source and land on a surface while feeling that they’re still in nature’s hands. Managers implement an integrated approach in fly control. They select optimised fly control units for their shops, cafes, restaurants, kitchens, food production facilities and other areas. These fly control units should have the above features (flicker-free, natural UV-A light, natural contrast grid) for optimal effectiveness. Performance and reliability are the priorities of any established business. For example, many managers select Vectothor Falcon for effective fly control. Its area coverage is at least 35 square metres and it’s ideal for shops, restaurants and business offices. Aside from performance and reliability, business owners and managers also prioritise aesthetics. That’s why the Falcon is also designed for that. The lamp is directed upwards and the overall unit is sleek and compact. As a result, it even complements most interior designs of shops and offices. In summary, the goal is to mimic nature as much as possible to capture the most number of flies. Here at Vectothor, we scientifically designed all our units for maximum effectiveness. Our lamps emit continuous UV-A light and our units generate a natural contrast grid. Contact us today and we’ll provide excellent recommendations depending on your area, application and other specifications. A wall mounted fly catcher can actually help in improving productivity and sales. Employees will become more productive because there are fewer distractions. They will be able to focus on the task at hand. When it comes to sales, customers will be able to focus more on your products instead of the flying insects roaming around. The keyword here is focus. Employees can focus on their work. Customers can focus on which of your products to buy. These present both a short- and long-term benefit. Each day and for the years to come, your business will receive a huge return on investment (ROI) from wall mounted fly catchers. Businesses prioritise performance and reliability. It also applies in the selection of fly control devices. For example, the unit should be able to attract the most number of flies. The key to achieve that is to mimic nature. That’s why many fly control lamps emit UV-A light. To take it even further, these modern units generate a unique attraction grid that results in 30% improved performance. The unique attraction grid stimulates the natural landing behaviour of flies. For example, the Vectothor Osprey (with area coverage of at least 80 square metres) is ideal for offices, shops and other commercial facilities. It emits continuous UV-A light and has a unique attraction grid for optimal effectiveness. This wall mounted device also has a temperature-optimised glueboard. As a result, its performance and reliability makes it a clear choice for many business owners. There are other fly control units with varying area coverage, material, mounting and design. It depends on your specific application. For example, if it’s a wet industrial environment, the specifications might be different. In these settings, the humidity and temperature levels are different from normal commercial settings such as in offices. Zero or fewer flies can lead to more sales and better productivity. Whether it’s a workplace, a shop or a cafe, effective control of flies can lead to high ROIs upfront and for the long term. That’s why it’s important to select the appropriate type of unit for your commercial facility. Contact us today here at Vectothor and let’s discuss your specifications and application. We can explore some options for optimal fly control in your business premise (whether it’s an office, shop, cafe, restaurant or an industrial facility). Control of small flies in the food industry is a crucial task for maintaining sanitation and adhering to high standards. This is especially the case in kitchens, food production and processing facilities and even in food storage and distribution facilities. Small flies and other flying insects are huge threats to the entire supply chain. From the production up to the storage and distribution, the presence of flies can result to significant financial losses. In addition, the company’s reputation will suffer (and possible legal actions will be rendered). Managers have already implemented several measures to prevent the above scenarios. First, they identify the critical points for food safety. They could then apply control procedures (e.g. sealing key entry areas, consistent cleaning of spills, sealing of floor cracks). Finally, they would monitor the effectiveness of those control procedures. They might count the number of flies captured and the incidences of fly contamination in every step of the supply chain. However, there are things beyond the manager’s control that still allow flies to roam around. Perhaps a nearby location is unsanitary. In addition, food processing facilities naturally attract flies. These areas provide a warm shelter and constant food source for the flies. That’s why the proactive approach is to capture the flies where they are. Other procedures are also important. But to limit the number of flies roaming around, there should be fly control devices installed in the very premises. Modern fly control lamps are now optimised to attract and capture the most number of flies. For example, the Vectothor Harrier emits continuous UV-A rays that emulate natural sunlight. This technology is effective in attracting flies. These insects perceive the light as “natural” and they will feel safe coming towards it. This ceiling and flag mounted fly control device has an area coverage of at least 160 square metres. This is ideal for large food production areas. It can be placed in a strategic location for maximum coverage and effectiveness. It’s also cost-effective because the lamp itself can last up to one year. The best approach is often the combination of different methods. The implementation should also be throughout including during the packaging and storage phase. This is to effectively limit the failure points and risks in every step of the supply chain. Here at Vectothor, we specialise in effective fly control with our scientifically designed products. We have developed various units for specific applications. Contact us today or browse through our wide range of products. Searching for an effective flying insect control fly trap for restaurants? Whether you have a new or established restaurant, 24/7 effective fly control is crucial in maintaining cleanliness, brand reputation and excellent customer satisfaction. This is even more crucial during the hours of operation of your business. That’s why you need a reliable solution that does this for you. You need a fly control solution specifically designed for cafes and restaurants. This is to optimise the results and minimise the “damage” caused by flies and other flying insects. It emits UV-A light which perfectly mimics the UV-A light in natural sunlight. This is an important feature because house flies are good at avoiding artificial threats (one of the reasons flies are persisting and surviving). If they detect something is threatening and far from natural, they will stay away. The Kestrel is different because it emits UV-A light which successfully attracts flies. In addition, it has a Natural Contrast Grid which stimulates the natural environment where flies land. The combination of those two features makes Kestrel an effective and optimal solution for fly control. Compared to conventional units, the Kestrel shows a 30% improved performance. It can also cover at least 30 square metres of space, which is large enough for most purposes. If you have a larger space, you can install multiple units or enquire us for more appropriate solutions. Moreover, the Kestrel has a temperature-optimised glueboard which can effectively capture and retain the house flies. Many other conventional and ineffective units are not optimised, which is why many flies can still escape and roam around a restaurant. In contrast, Kestrel works effectively especially in the environment of restaurants and cafes. Here at VECTOTHOR, our fly traps are scientifically designed for optimum fly control. We have modern units specifically made for restaurants, cafes and other commercial food and beverage establishments. We prioritise effectiveness, reliability and performance because these are also the same priorities of business owners and clients. You can call us today at 13 35 36 or browse through our products if you need to learn more. Searching for UV fly traps for retail stores? Effective fly control is still critical even in retail stores because of the risks and reputation damage flies present. That’s because a few flies are already enough to turn off customers and prospective buyers. That’s why in this short article, we’ll present you with a few effective options. All these UV fly traps are scientifically designed to attract the most number of flies. Let’s get started. This is one of the most discreet designs when it comes to UV fly control devices. It covers a small area (at least 35 square metres). It is wall mounted and only has a power consumption of 25 watts. Just like with other VECTOTHOR products, the Falcon emits UV-A sunlight that is proven to attract the most number of flies. The lamp lasts up to 12 months, even with daily use. It provides good value because of effectiveness and relatively long useful lifespan. Moreover, it has an uplit design which makes it aesthetically recommended for many retail shops. The Osprey has a 30% improved performance compared to most conventional fly control units. It’s possible because of its unique design, which helps stimulate the landing behaviour of flies (thereby increasing capture effectiveness). It can also cover at least 80 or more square metres. It also has a low power consumption (32 watts) and a one year lamp lifespan. This wall mounted device is also ideal for many retail stores because of its attractive design. If you need a more unique design for your UV fly trap, the Merlin 100E is the right one for your retail shop. This wall- or ceiling-mounted device covers at least 100 square metres. This coverage area is large enough for most locations and purposes. It operates on shatter-proof UV-A lamps with a power consumption of 32 watts. Its wide coverage and option to mount on ceiling or wall are some of the reasons business owners have these in their shops. Those are just some of your options. If you need to learn more, you can contact us today or read and download our brochures. Our products are scientifically designed and tested for optimal results. How to effectively control flies in wet industrial environments? The general idea is to select solutions which are specifically and optimally designed for such environments. After all, what works in one setting might not work in another. In addition, industrial environments are totally different from normal commercial establishments such as restaurants and offices. What makes industrial environments different? Industrial environments could be hotter and more humid. The industrial machines and equipment are also different and more sensitive. There could also be solvents, chemicals and other substances in the area. Whether it’s food processing or manufacturing, the environment requires a different set of control measures to minimise risks and damages. Many fly control units are already effective in restaurants because these employ UV-A light and a Natural Contrast Grid technology. However, these same units might not be the ideal ones for manufacturing, food processing and other industrial settings. You need solutions and units that are more robust and more apt for the areas you’re trying to protect. That’s why here at VECTOTHOR, our Kingfisher is scientifically and optimally designed for industrial environments and large commercial facilities. It uses the same technology as with our other products because UV-A light and the natural contrast grid captures the most number of flies and other flying insects. The difference is that the VECTOTHOR Kingfisher can withstand even a total wet wash. This is far better than most conventional units and other products offered by the competition. Our Kingfisher is robust and it only does one thing — capture the most number of flies whether or not you’re looking. Generic solutions won’t cut it. What you need is a solution scientifically and specifically designed for your application. Here at VECTOTHOR, we have a wide range of products wherein each one is suited for a specific purpose and application. As mentioned above, our Kingfisher is specifically designed for wet industrial environments. It can cover an area of at least 100 square metres. It’s robust (encased in a metal housing) and the lamp can last up to two years. Contact us today if you want to learn more about our scientifically designed fly control products. Fly Control in Food Production Areas: What are Your Options? What are your options when it comes to fly control in food production areas? In this short article, we’ll discuss a few of your options. We’ll also discuss what makes a solution more effective than the others. Let’s start. This scientifically designed device is optimised for capturing the most number of flies even in food production areas. It can cover at least 160 square metres which is large enough for most applications. It’s designed according to the biology of flies. These insects have survived for millions of years because their biological constitution allows them to avoid threats. In addition, there’s an abundance of food sources (especially in food production areas) and they can easily ingest the food by “vomiting” out digestive enzymes and taking it in again by suction (with the food particles and nutrients). That’s why the best way to capture them is by working according to their biological tendencies. The fly control lamps should mimic natural sunlight as much as possible. If they sense that the light source is far from natural, they will stay away (hence, fewer flies captured). The way light reflects should also mimic how the natural environment looks like. That’s why our VECTOTHOR Sea Harrier emits UV-A sunlight and natural contrast so more flies will be attracted. This device is optimised according to the biology of flies. As a result, it became one of the most effective fly control devices out there. Temperatures and humidity levels might be a lot different in food production areas compared to normal offices. That’s why food production areas often have different demands and requirements. For example, the catch specifications of the Sea Harrier include a temperature-optimised glueboard. It’s designed according to where it will be used for (food production area). That’s why it can capture the most number of flies without almost any of them escaping. Moreover, corrosion of metal surfaces might be a problem in food production facilities. Our Sea Harrier is encased in a robust metal housing. In addition, it’s powder coated which keeps the outer layer intact and protected from moisture and other elements. It’s different from liquid paint because the powder is electrically bound to the metal. It is also IP65 Water-resistant, so it is ideal in areas that are hosed down. Contact us today if you need robust and reliable fly control solutions for your food production area. Depending on your application, we have units that are scientifically designed and optimised. Effective fly control in retail stores may improve your business reputation. It doesn’t matter whether you’re selling food or non-consumables such as clothing. What matters is your business shows an image of professionalism and cleanliness. What would customers think if there were flies buzzing around while they looked at your products? They would think that the place is unsanitary and far from trustworthy. It says a lot about your business and the items you sell. What happens if your store is free from flies? It may not guarantee an instant increase in sales, but you prevent a bad reputation arising and possible loss of customers. In addition, you maintain an aura of cleanliness which can win the trust of customers and possibly long-term buyers. Take note that it’s not all about your products. It’s also about the customer perception and experience. Your products might be top of the line and at the most reasonable pricing. But the environment where they’re put in can have a huge impact on your customer’s decision whether to buy or not. House flies are especially numerous during summer (or during unusually warm and humid days). However, it can still be unpredictable. Flies come and go. They might even come to your store when you have a lot of potential buyers. That’s why you need a solution that works reliably in the background. One such solution is the use of lamps specifically designed for fly control. For example, the VECTOTHOR Falcon emits light in UV-A range (300-420nm), which is optimised to attract the most number of flies. It mimics natural sunlight which removes the doubts and threat instincts of house flies. Aside from effectiveness, Sydney managers also consider the range and coverage. The VECTOTHOR Falcon can cover at least 35 square metres. This is enough for small stores. For larger stores, you might need to install multiple units or buy lamps which have a wider coverage (such as the VECTOTHOR Falcon Plus which covers at least 60 square metres). These units are highly effective and yet non-disruptive. The light is directed upwards which won’t distract your customers. It’s just there in the background silently (unnoticeable) doing its work. Here at VECTOTHOR, we only have products optimised for effective fly control. We have a wide range of fly control solutions specifically designed for different settings and commercial facilities. Call us today at +61 2 9364 1800 or download our brochure if you want to learn more. What’s the Best Way to Get Rid of Flies in Food Businesses? What’s the best way to get rid of flies in your restaurant or food processing (or distribution) centre? The truth is there’s no permanent solution to it. Flies will come back again and again. What you need is a solution that can effectively control the number of flies 24/7. That’s why extermination using pesticides is only temporary. Some commercial and industrial facilities might require this method (especially if there’s massive infestation). But for the most part, 24/7 control is much more effective. Why sanitation is not enough? Aside from extermination, another common approach is complete sanitation. After all, this is getting to the root of the problem. This eliminates the flies’ potential breeding grounds. It’s a more long-term and proactive approach to controlling the number of flies. However, the neighbourhood or the areas nearby might be heavily infested with house flies. Also, the nearby locations might have dumpsites or aggregated decaying matter. This is the perfect environment for flies to thrive. It might not be your fault but the flies can still be present in your restaurant or food processing facility. However, you still need to deal with the problem. You need a more permanent and reliable solution. Why use optimised fly control lamps? Optimised fly control lamps are more eco-friendly and they offer a more long-term solution. They also operate all through the business’ active hours. Even if the workplace or eating area is fully active, the lamps will also stay active to capture the flies. Modern lamps now are optimised according to the house flies’ vision spectrum (in the UV-A range, 300-420nm). The sophisticated VECTOTHOR lamps mimic the frequency emitted by natural sunlight. They also emit a continuous light (it doesn’t flicker). This means the lamps can now attract the maximum number of flies. Many fly control lights now are designed for commercial and industrial settings. Even in slightly higher or lower temperatures, these lamps can work effectively. For instance, the Astron UV-A Lamps are shatter-proof and actually approved for HACCP. In summary, an effective approach is to have a 24/7 reliable solution. Your business should still continue with the sanitation practices. But the best approach is the combination of different techniques (prevention, capture and sanitation) to ensure a fly-free environment. Here at VECTOTHOR, we have excellent products specifically designed for restaurants, food facilities and other commercial environments. You can browse through our wide range of products today. How to Do Effective Commercial Fly Control in Sydney? Effective commercial fly control is important due to compliance, health and safety, brand reputation and sanitation. Many Sydney businesses need to control the presence of flies in their stores, processing facilities and even offices. But how do you accomplish that? What do competent Sydney managers do to effectively control the number of house flies. Below we’ll briefly discuss the crucial things to consider. Let’s get started. This is a given and the first requirement. In addition, it’s required for compliance with health regulations and local policies. However, this is rarely enough to ensure a fly-free environment. That’s why many Sydney managers go beyond the requirements. They implement stricter practices involving the personnel and the premises itself. They also participate in local activities that improve sanitation. This is to clean all the potential breeding grounds of house flies. After all, if the neighbourhood is unsanitary, everyone will be affected. Flies have baffled managers, homeowners and everyone else. These pests continue to be present even if everything is spotless and all the garbage is properly disposed. What should you do then? The best course of action is to install fly control lamps in strategic points. This way, the device will capture the most number of flies and prevent them from roaming around further. Good news is, there are many optimised fly control lamps for this purpose. For example, the VECTOTHOR Harrier emits UV-A and captures flies through a temperature-optimised glueboard with silicone paper cover. It even has a wide coverage (can cover at least 160 square metres). This is more than enough for most offices, restaurants and retail stores. Although there are many affordable options and fly control products, it’s still about ROI and getting the most out of every expense. That’s why the lamps should also last long enough if you want to get most value of them. For many fly control lamps such as the VECTOTHOR Harrier, Merlin 100E, Kingfisher and others, the guarantee is 2 years and the lamp’s lifetime is up to one year. They’re also often encased in a metal housing for protection from impact and other objects. These all make it worth it to have a fly control lamp in your commercial facility. We have a wide range of products specifically designed for different applications. We understand that your business has unique requirements. Call us today at +61 2 9364 1800 and we’ll discuss the most cost-effective solution for your commercial facility. FAQ: Where Do Flies Come From? In Sydney, especially during the summer, flies reproduce fast. In fact, even during the cold days, flies can still survive and multiply. This is true especially indoors whether it’s a home or a commercial facility. It only takes 8 days (or fewer) for an egg to become a fly. Also, an adult female fly can lay up to 500 eggs. Imagine all of them hatching and you’ll have a massive infestation on your site. Even if you apply pesticides or put screens on your doors and windows, some of the flies survive and find entry into your home or business. The numbers are enough to infest any area. Even just one fly can be annoying and harmful. Take note that the fly might have come from garbage or sewer. Flies can readily find food in garbage, drainage, tables, chairs and floors. It’s especially the case in trash and drains where there is a lot of decaying matter. Even in common places and surfaces such as a clean table, flies can instantly find food. They don’t need a lot to survive. They just need bits here and there to fully nourish themselves. Or, they can just go back to the trash bin if there’s no food around. That’s why it’s best to prevent the reproduction of house flies in the first place. Imagine one surviving knowing it can lay up to 500 eggs. You should minimise the number of flies as soon as you can. The quick solution to control the number of flies is to apply an insecticide. However, this only offers a short term fix, it doesn’t solve the ongoing problem. Another solution (which is more long-term) is to block or screen the possible entry points. Some of flies survive even when exposed to insecticides. Even when there are screens on doors and windows, flies can find entry through the vents and even small openings in screens. That’s why we’re only left with one solution, which is to proactively capture the flies as they come. This is possible with the use of optimised fly control lamps. They attract the flies by emitting UV-A light and then capturing the pests for good through temperature-optimised glueboards. Here at VECTOTHOR, we provide a wide range of products for effective fly control. They’re all scientifically designed according to the flies’ traits and the needs of your commercial facility. You can browse now our wide range of fly control products if you need more information. Restaurant fly control is not a one-time or monthly necessity. It should be a daily requirement if you want to protect your restaurant’s customers and reputation. Many other businesses request for pest control monthly or quarterly to protect their assets and to comply with local regulations. However, the case is different when it comes to restaurants and other food establishments. Flies can instantly ruin a restaurant’s reputation. Aside from health issues, flies can greatly affect the brand image of the restaurant. If customers notice those flies while they’re dining one day, the restaurant’s sanitation will be in question. This could lead to loss of customers and even a negative reputation online and through word of mouth. That’s why aside from monthly or quarterly pest control, restaurant owners and managers install fly control devices near and within their premises. This way, restaurants will be virtually fly-free during all the businesses’ hours of operation. To effectively control flies, they must first be driven away or make them go towards an area. That’s why there are specially designed lamps (usually in the UV-A range) that attract flies. Once they come into contact (or become near) with the light source, the electrical zap will effectively extinguish them. First, the lamps should emulate natural light so the flies will come. In addition, the wavelength emitted by the lights should appeal to flies. This makes attracting the flies much more effective. Aside from fly killer lamps, some restaurants also use glueboards. They install these for total entrapment of flies and compliance with health and sanitation guidelines. For these glueboards to be effective, they should be optimised to be working perfectly even in tropical temperatures. There are many different kinds of fly control lamps and glueboards out in the market. However, not every product will be effective in restaurant fly control. The choice might depend on the environment and the standards you’re upholding. It might also depend on the technology used and the effectiveness of a particular option. Here at VECTOTHOR, we use cutting edge science to provide effective fly control solutions for restaurants and other food establishments. Contact us today and make your restaurant cleaner and more sanitary. Many businesses in Australia search for office fly control solutions to keep the workplace sanitary and more inviting. After all, most employees and managers spend most of their waking hours inside an office. If there are a few flies in the workplace, expect them to greatly affect the image of the office. Worse, they can even affect the staff’s productivity levels. Our working environment actually influences us more than we realise. It can make us feel more motivated if the environment is free from flies and other pests. Why do flies linger around? One reason is that there are food sources in the area. On the desks, computer keyboards and other work areas, there might be food particles lying around. Aside from cleaning those areas, it’s also important that there’s a designated dining area for all the staff members. This way, the work areas will stay clean day after day. In addition, dining and working will be two separate activities because they’re being done in separate environments. Flies love the trash bins because they’re often hidden from plain view and there are food sources. That’s why it’s good to regularly empty those bins so the flies won’t have a safe and warm place to hide. The previous tip above (specifying a dining area) complements this. If there’s a designated dining area, the trash bins in the main offices won’t have food particles. Mostly, the content of those trash bins will be paper and other non-edible waste. Aside from maintaining clean surroundings, it’s also recommended to have fly control solutions in your workplace. There are fly killer lamps and glueboards that can effectively control the number of flies. In addition, these can help maintain your fly-free work environment each day. There will be no flies lingering around. The office will remain sanitary and inviting for employees, managers, suppliers and guests. Here at VECTOTHOR, we provide effective fly control lamps and glueboards that utilise cutting edge science. For instance, our fly control lamps are specifically designed to appeal to the flies’ visual spectrum. Contact us today and make your office clean and free from flies. How to get rid of house flies? Are there effective ways without relying on pesticides and other harmful means? Is there a permanent solution to keep homes and commercial facilities free from flies? These are the common questions from families and business owners. After all, flies pose health risks and sanitary issues in any residence or commercial area. Let’s explore the answers to the questions above. We’ll discuss quick and doable tips for effective fly control. Let’s start. How to eliminate house flies? Elimination can be about the extermination of flies through pesticides, fly control lamps and glueboards. It can also be about cleaning or eliminating the flies’ possible breeding grounds. Often, the first step is applying good sanitation practices in all areas. This way, it’s unlikely that the flies will be able to reproduce and thrive. Then, specific fly control solutions will be applied according to the situation. Aside from elimination, exclusion is another option. This is about the closing or proofing of entry areas such as windows, vents and doors from flies and other insects. However, one or two flies might still be able to sneak in. Even just one fly is enough to make the place look unsanitary. That’s why many people choose the extermination method. However, some still rely on means that are harmful to the environment and human health. Thankfully, it’s now possible to get rid of house flies and other pests without relying on heavy use of chemicals. There are now fly control lamps that are eco-friendly while still effectively eliminating flies. For example, the ASTRON UV-A Lamps are energy-efficient and long lasting. In addition, the fluorescent powder used in the manufacturing of these lamps is water-based (no toxic butyl compounds). Furthermore, the glass used is free from lead. It’s environment-friendly while still keeping your place fly-free. These lamps are recommended for daily and long-term use. Each day flies are being eliminated while doing it for the long run. Prevention is said to be better and cheaper than cure. What if you can have both? At VECTOTHOR, we have products that effectively prevent and solve fly infestation. Our fly control lamps effectively attract house flies and prevent them from further reproduction. Contact us today and let us make your area free from flies. The effectiveness of a UV fly trap is more quantifiable compared to pesticides. It’s difficult to determine whether a pesticide is truly effective or not. Maybe the house flies left for other reasons. But with fly traps using the UV range, you can quantify their effectiveness. UV fly lamps “naturally” attract house flies. The lamps are optimised to the house fly’s vision spectrum. They imitate the natural UV rays emitted by sunlight. As a result, flies recognise the fly trap as “natural” and non-threatening. In contrast, pesticides are far from natural. Instead of attracting the flies and trapping them, the pesticides might just be repelling the flies. These pests might just come back after a few days when the the pesticide degrades. In addition, some house flies will build resistance and survive. On the other hand, UV fly control lamps completely trap the house flies. There is no way for the flies to escape and reproduce. Aside from eradicating the flies, you also have a preventive measure. You won’t have to spray insecticides again and again. The key to the lamps’ effectiveness is how they mimic nature. The lamps’ UV-A spectrum is also present in sunlight. In addition, there are lamps today that emit a constant beam of light. If the lights are flickering to the fly’s sight, the flies will see it as unnatural. As a result, they are less attracted. Once you’ve installed a UV fly control lamp, you might see dozens of flies trapped on the device the next day. You’ll be surprised at how quick it delivers results for your home or business. This is important in restaurants and food establishments. The presence of flies can signal poor sanitation in the area. Customers will notice this and might not come back again. This is also important in event venues, offices, retail stores and other commercial facilities. The goal of any business is to project professionalism. If there are flies roaming around, that goal will be impossible to achieve. That’s why here at VECTOTHOR, we provide highly effective fly control solutions for commercial facilities. We use cutting edge science to optimise results for our customers. Contact us today and explore our range of cost-effective products. Need a safe indoor fly control solution? Pesticides can harm the environment and human health. That’s why more and more Australians (both homeowners and businesses) want a safe fly control solution. A more effective approach than using pesticides is taking advantage of fly control lamps. These effectively capture the flies without spraying chemicals through the air. However, not all fly control lamps are truly effective. First, the lamps should imitate the natural light given off by the sun (that’s why lamps are in the UV-A range). The house fly spectrum range (300 to 420 nm) is optimised in attracting the highest number of flies. Aside from optimising according to the house fly vision spectrum, the fly control light should be projecting a constant beam. This way, flies will see it as a natural light source. Most UV lamps out in the market now might be generating a flickering light (not obvious to our naked eye). It’s recommended to choose a constant light source that imitates natural sunlight. In many businesses, cost is also a priority aside from effectiveness. This way, business owners can get the most out of their investment. In addition, the goal is to get rid of unnecessary costs. Fly control is a necessary cost (or investment). This is true especially in food establishments where health, safety and image are primary concerns. Flies can signal poor sanitation and ruin a company’s reputation. However, that doesn’t mean you need expensive solutions to fix a problem. Today, there are cost-effective fly control solutions. For example, a PHILIPS UV-A Long-life Lamp can last up to 2 years (while maintaining maximum effectiveness). In contrast, many other UV lamps last only for 6 months. Perhaps the main reason you’re avoiding pesticides is environmental awareness. You prefer eco-friendly solutions that are also sustainable in the long run. Many UV-A lamps are now eco-friendly. Aside from minimising chemical output to the air, these lamps are also made from water-based and non-toxic substances. Even after their useful lifespan, you’ll have no worries about how they end up during disposal. Here at VECTOTHOR, we provide cost-effective and environment-friendly solutions to residential areas and commercial facilities. Contact us today and we’ll recommend the ideal fly control solution for your home or business. House Fly Counting Australia: Why is it Important? House fly counting is important because it’s a way of measuring the effectiveness of a fly control solution. It’s also a way of determining how quick a certain solution can deliver results within a given time period. For instance, glueboards have varying effectiveness. Some are optimised even in tropical temperatures. Some might not be optimised for that condition. To prove the claim, a fly counting software would be very helpful (eliminate the need for manual counting, especially for multiple areas). Quantification can also result to deeper analysis. For example, a certain area has unusually more flies captured throughout the year. If that’s the case, the management can work to figure out the issue. They may also install more devices or utilise more effective solutions. This is important in food production facilities, hotels, restaurants and other commercial facilities. They need to mitigate risks and ensure that no house flies are roaming around. With the information provided by a fly counting software, the solutions will be within reach. House flies can carry up to 100 different pathogens. They can then spread throughout the facility and products. That’s why it’s important for food production facilities and processing areas to prevent flies from reaching a population beyond critical point. To accomplish this, fly counting is usually employed. A high fly population density can mean that the facility is not applying proper sanitation procedures. Although the flies are captured, their high number can mean a sign of a bigger problem. Manual counting might not be reliable due to human error in the counting itself and in record keeping. In contrast, an automated and computerised way of counting can help you minimise errors. This also allows for storage of historical data and later analysis. In many commercial facilities, risk mitigation and issue prevention are priorities. This is true especially in the population control of house flies. That’s why here at VECTOTHOR, we provide effective fly traps (including glueboards) and fly counting software to help with that objective. We also have different fly control solutions ideal for your business. Fly prevention is important in many businesses because of the risks and disturbance brought by house flies. These pests carry diseases and annoy employees and customers. In addition, the presence of flies signals a bigger problem – poor sanitation. That’s why many commercial facilities take extra steps in ensuring proper sanitation in each area. For example, they apply disinfectants on critical surfaces. They also properly dispose of waste so the flies won’t have a breeding ground. Aside from proper sanitation, exclusion is another effective way to prevent fly invasion. This includes screening of doors and windows. The goal is to prevent flies from entering a certain area in the first place. However, commercial facilities often have many entry points. This is true in kitchens, restaurants and hotels. Flies annoy customers and staff. In addition, flies can also bring the establishment’s sanitation into question. Some of the reasons for fly infestation may be outside of your control. For example, a nearby area might have poor sanitation. It’s the perfect breeding ground for house flies. Then, they might find a way to come into your business. To solve this, many businesses in Australia take a proactive approach. They install fly control lamps and glueboards. They also install fly counting software for monitoring and compliance purposes. Aside from short and long-term extermination of flies, the solutions mentioned above are also effective preventive measures. They help prevent the further reproduction of flies. They also prevent the flies from building up resistance (in contrast to spraying insecticides). With fly control lamps and glueboards, you also find a way to quantify the results. Applying insecticides might actually kill some flies. However, you won’t know how many. You will just rely on what you see whether there are flies or none. Flies are usually in large numbers during summer. They are also commonly present in warm and humid areas such as the kitchen. No matter the season or condition in a certain area, VECTOTHOR’s products are effective in fly population control. We have cutting edge fly control lamps and glueboards that deliver results.